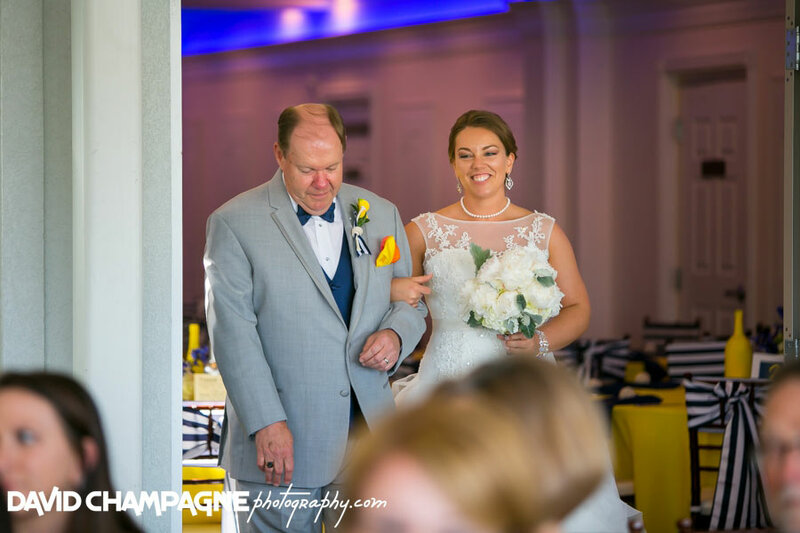 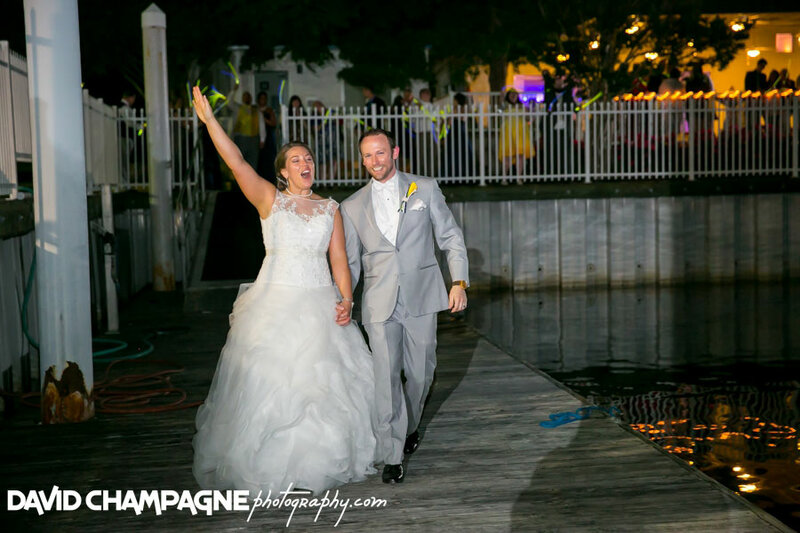 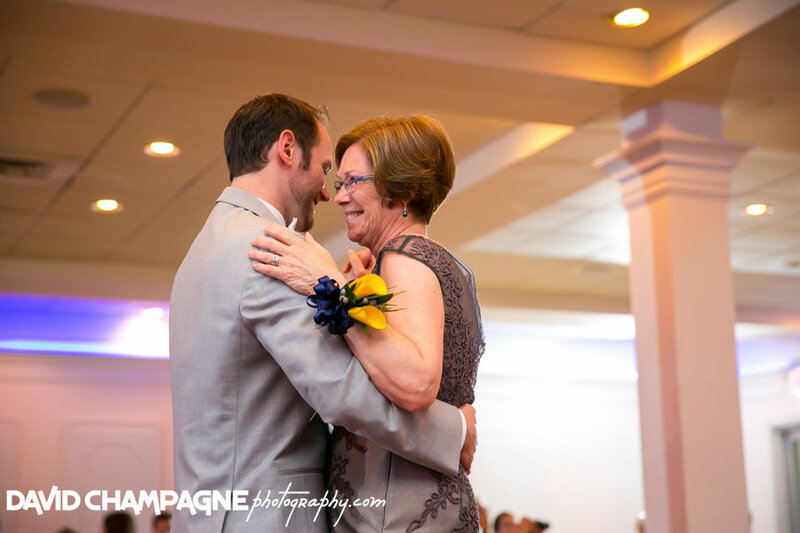 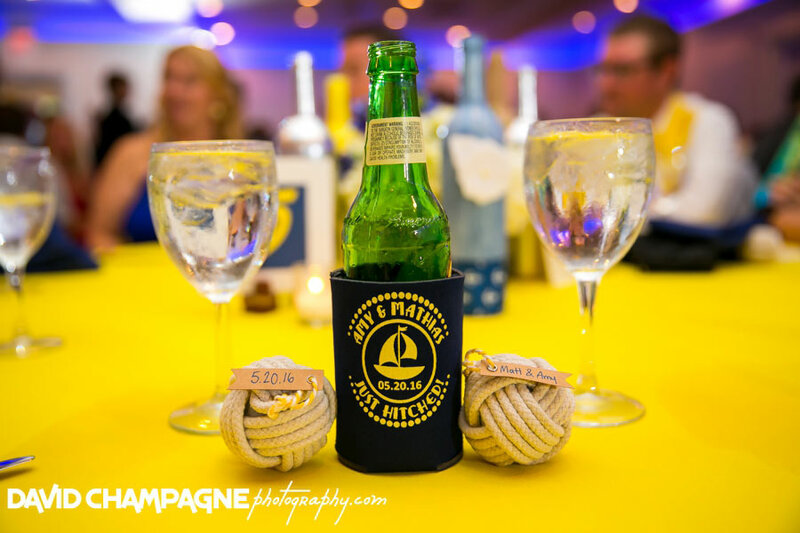 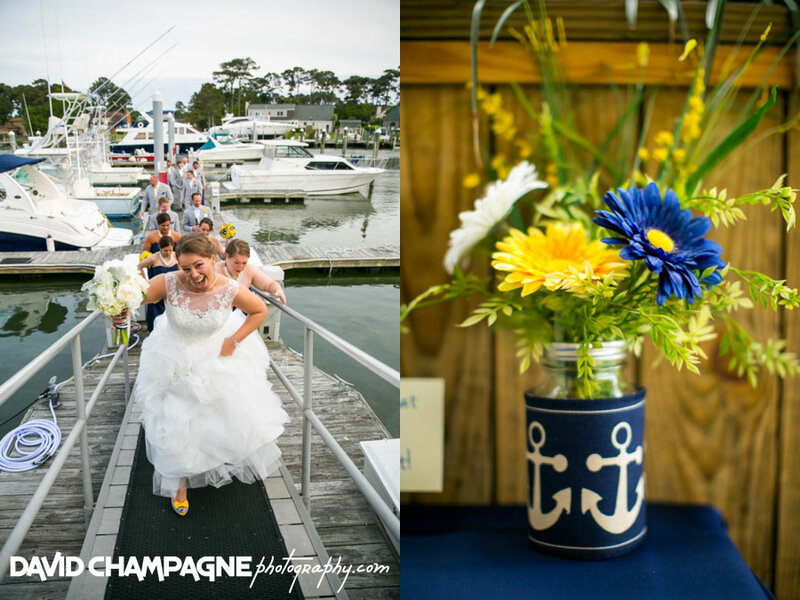 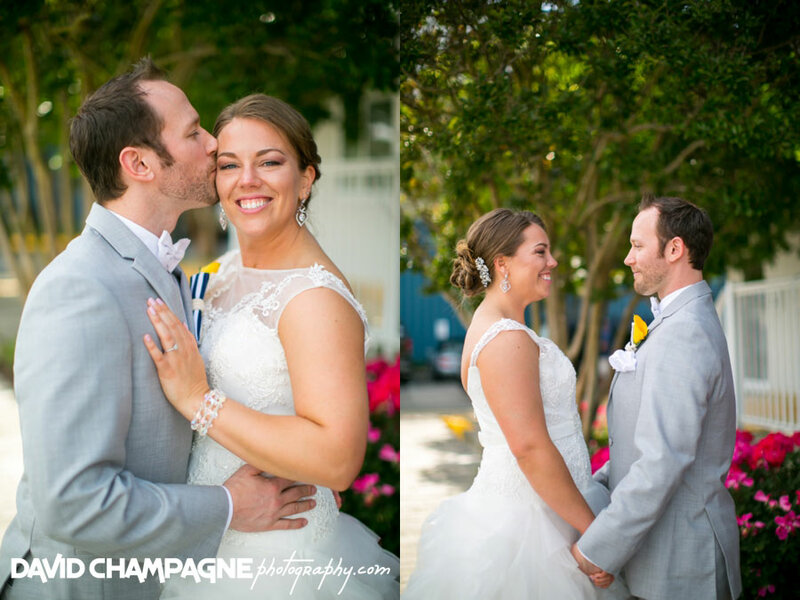 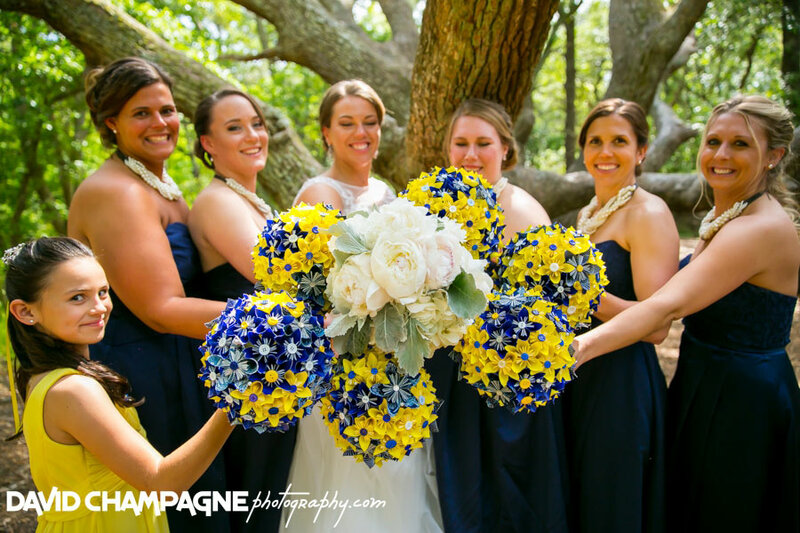 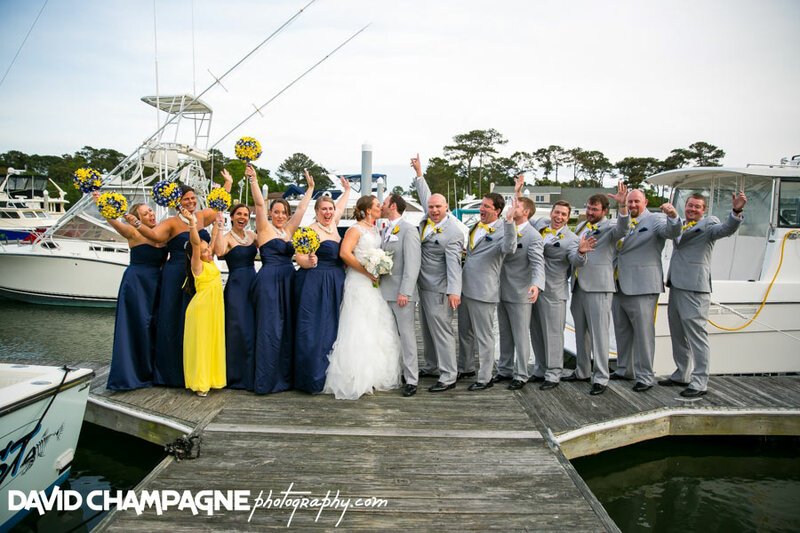 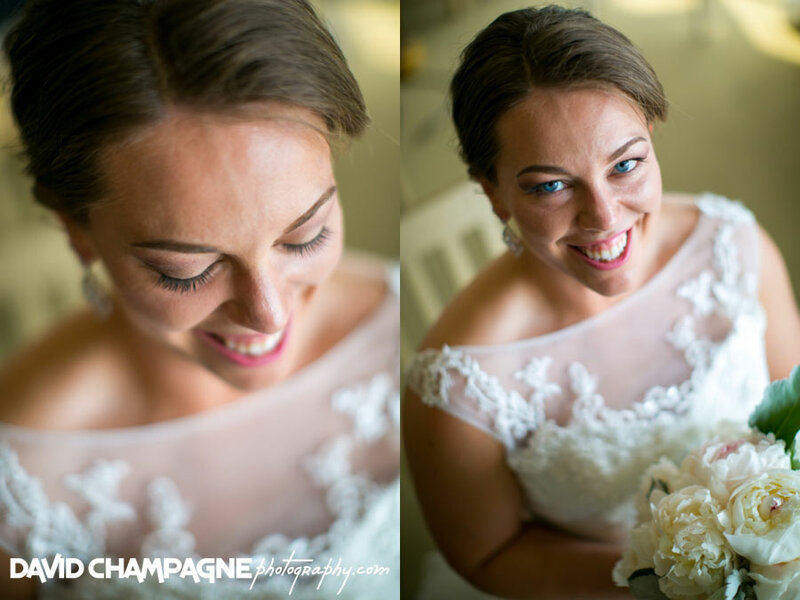 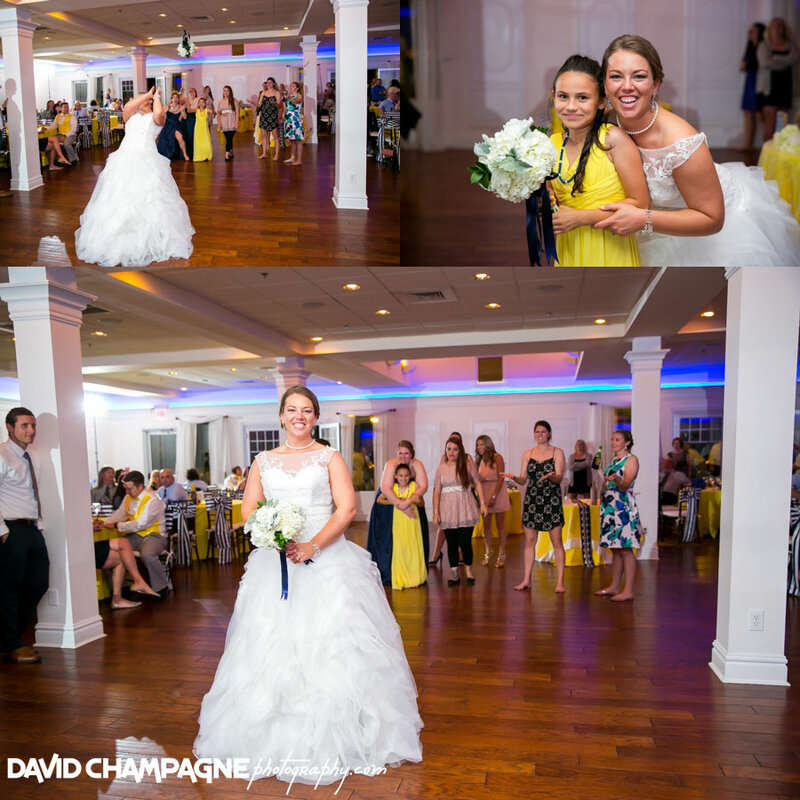 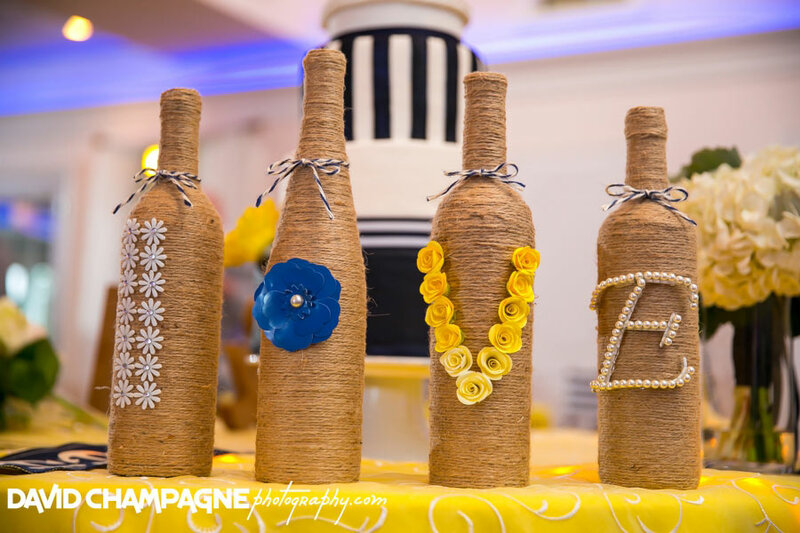 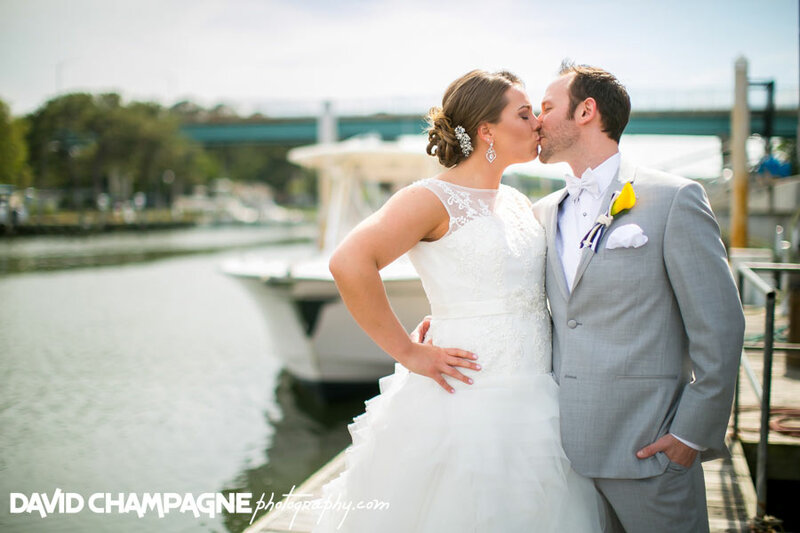 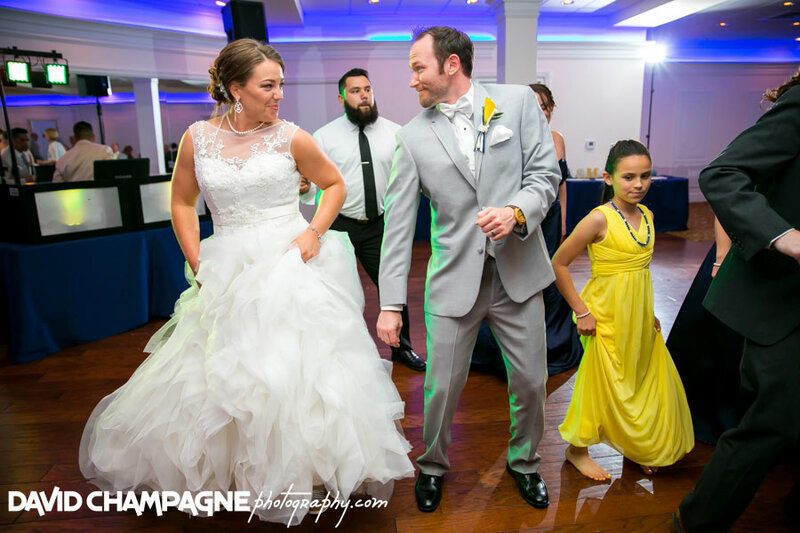 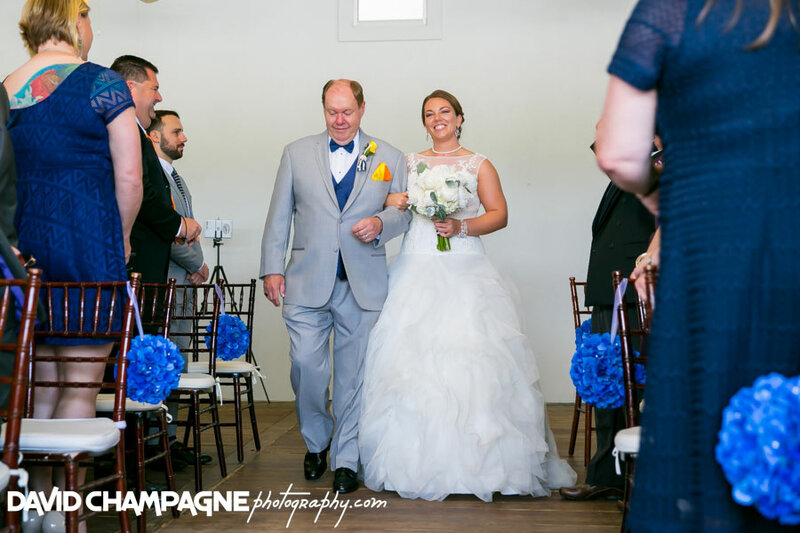 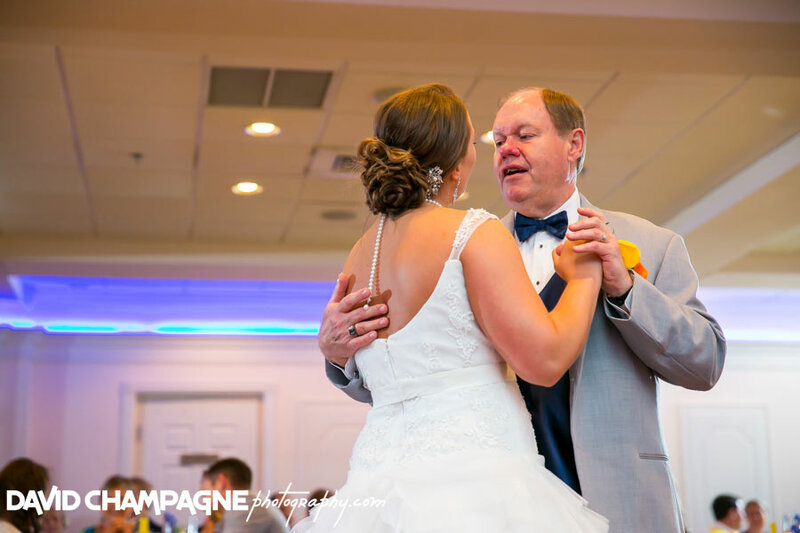 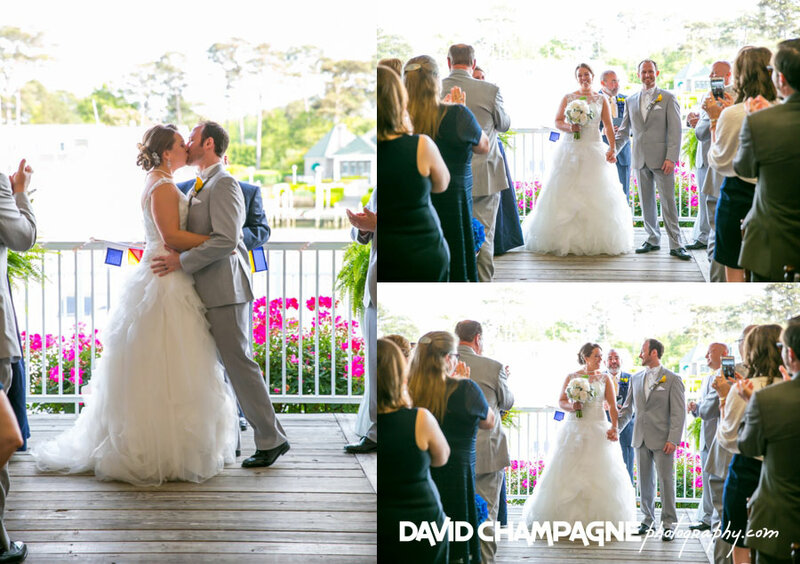 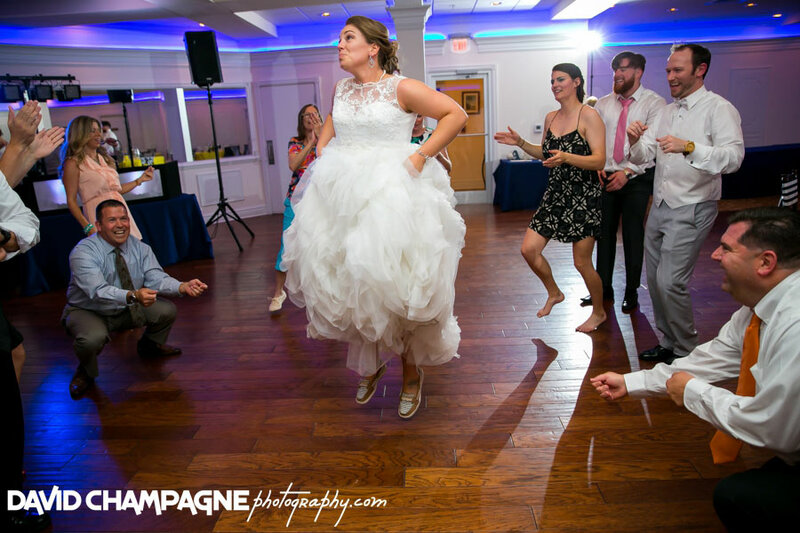 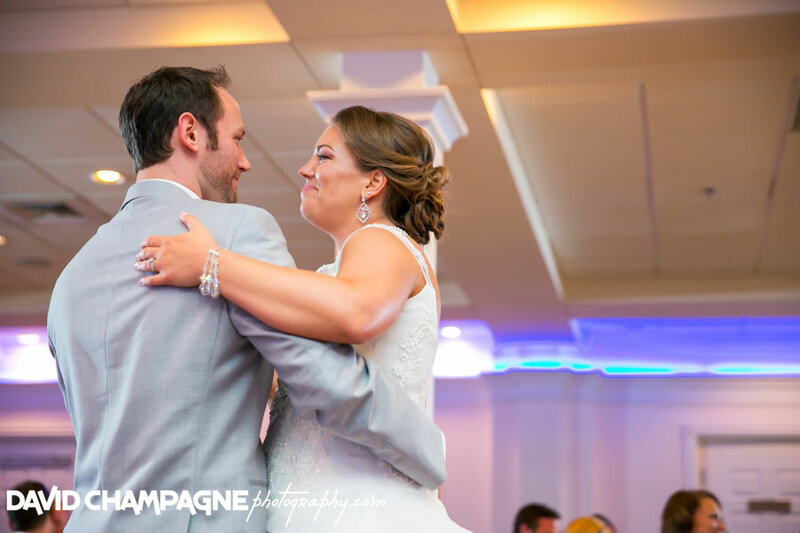 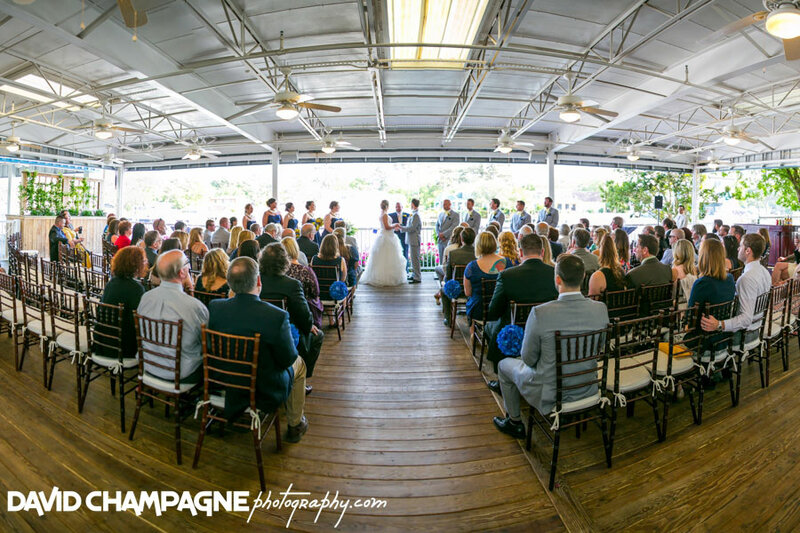 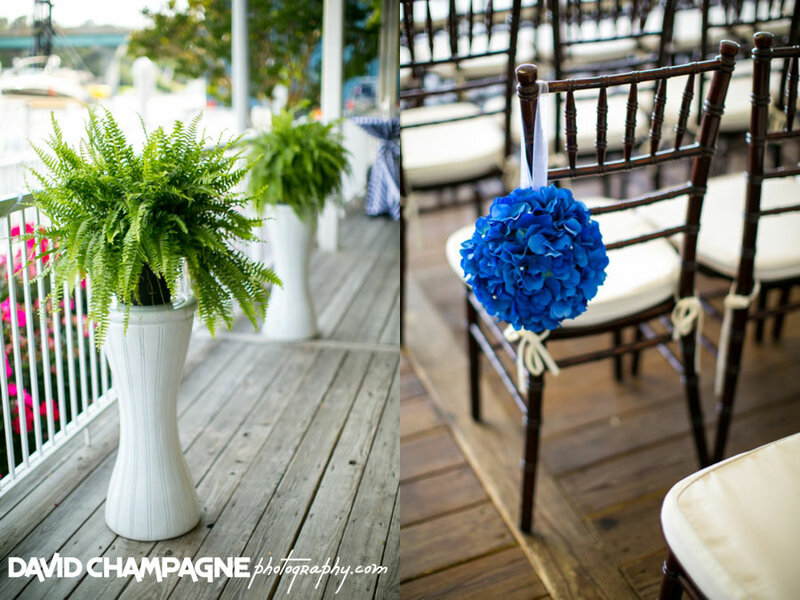 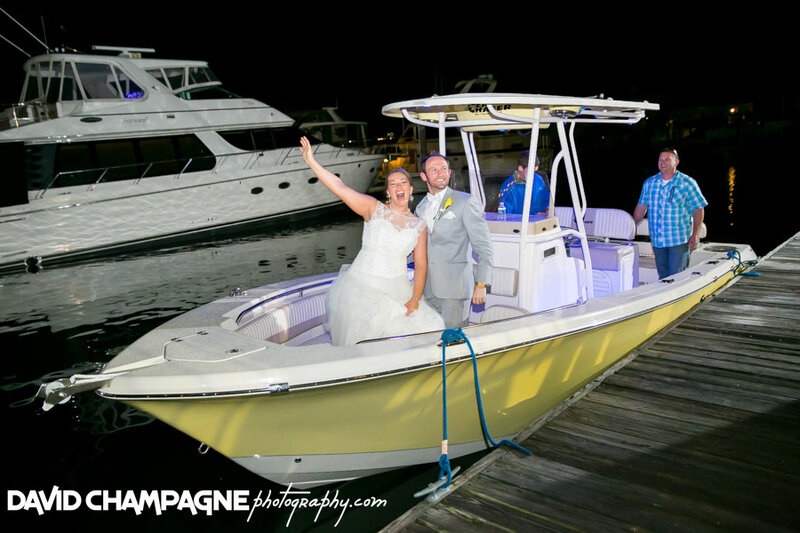 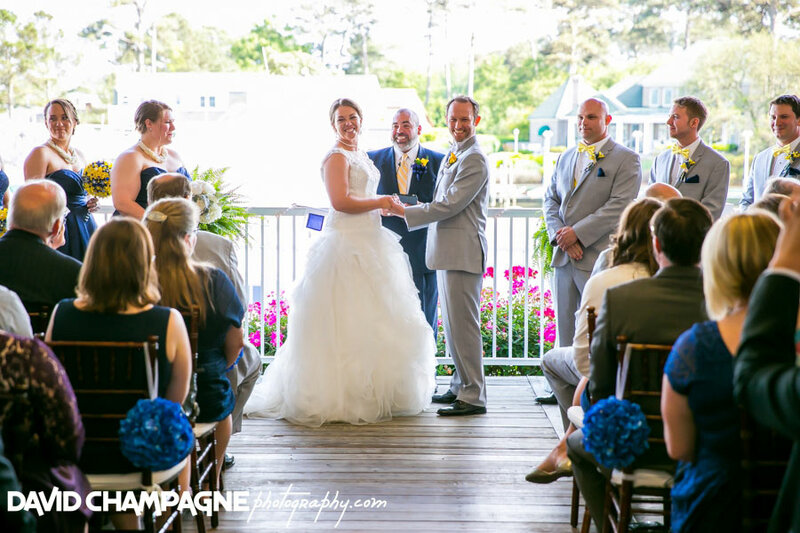 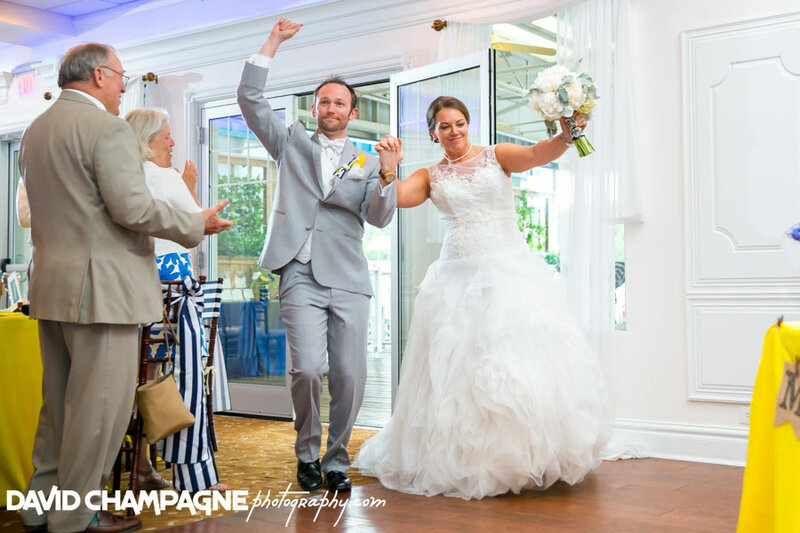 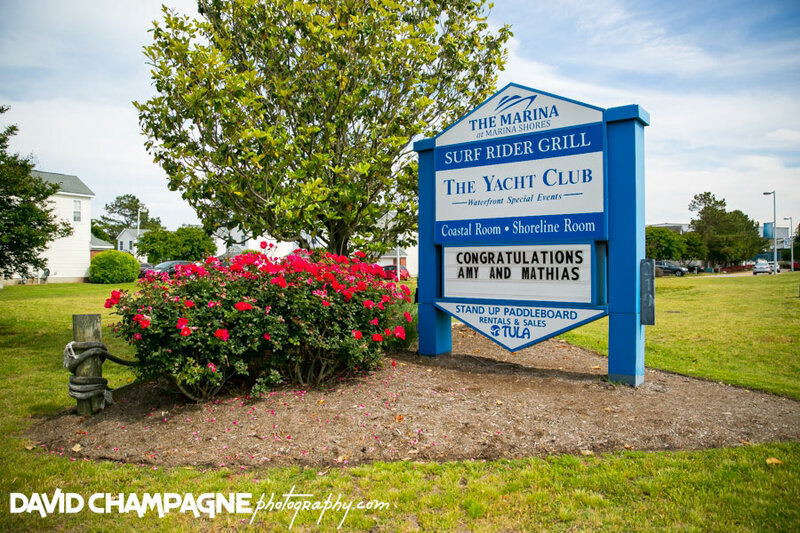 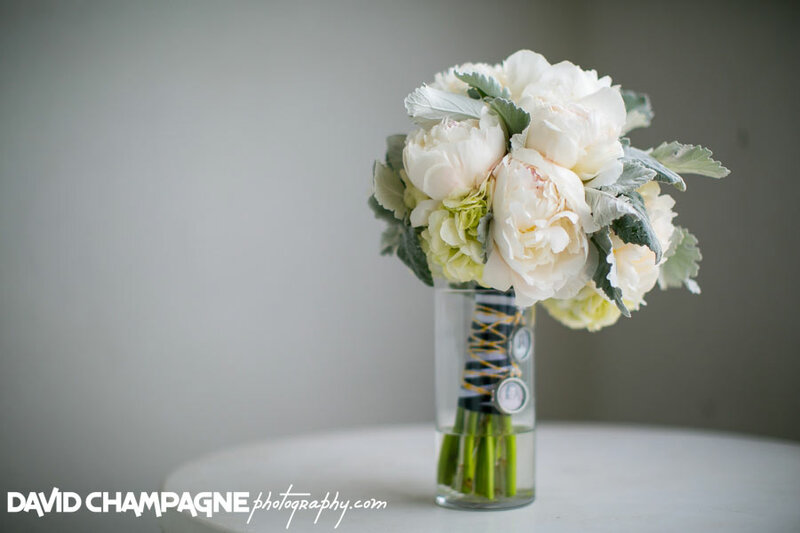 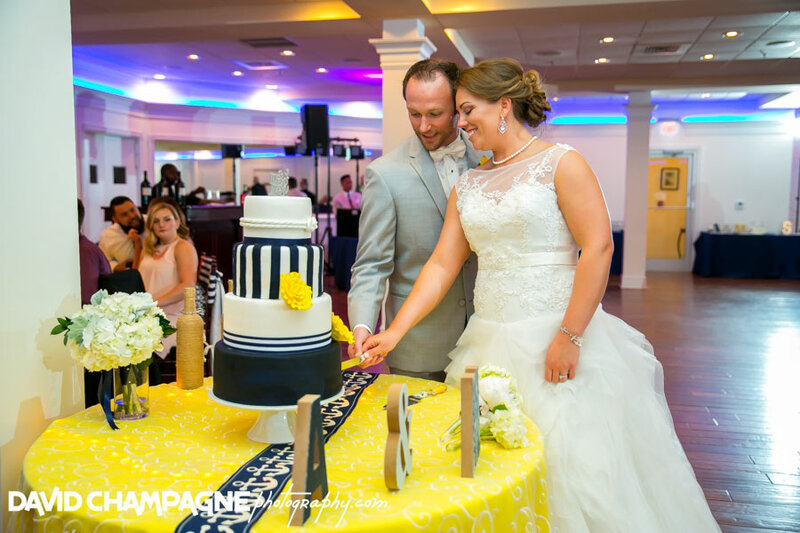 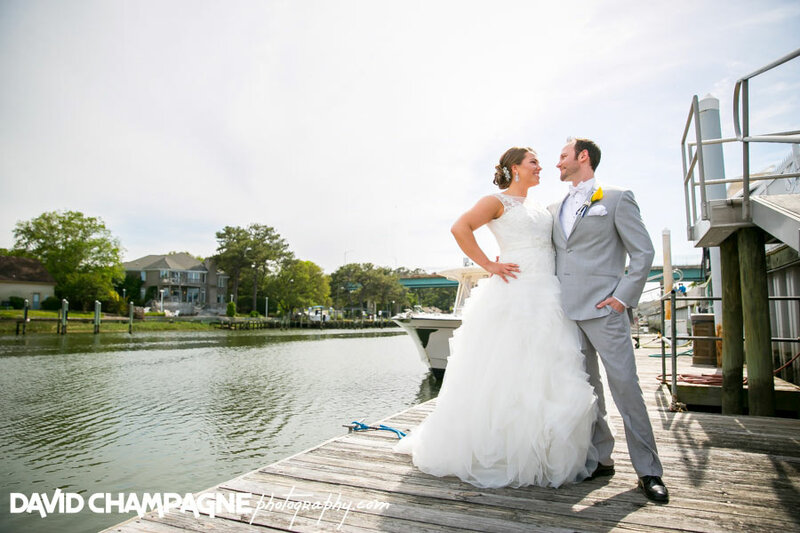 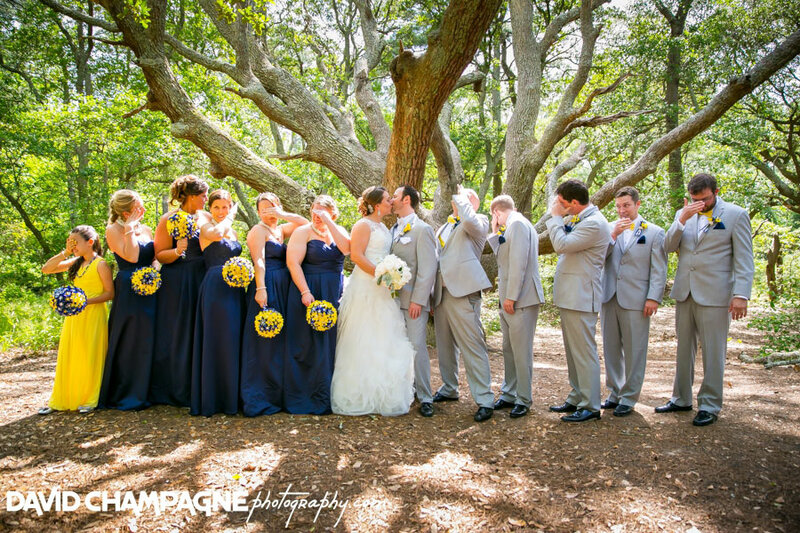 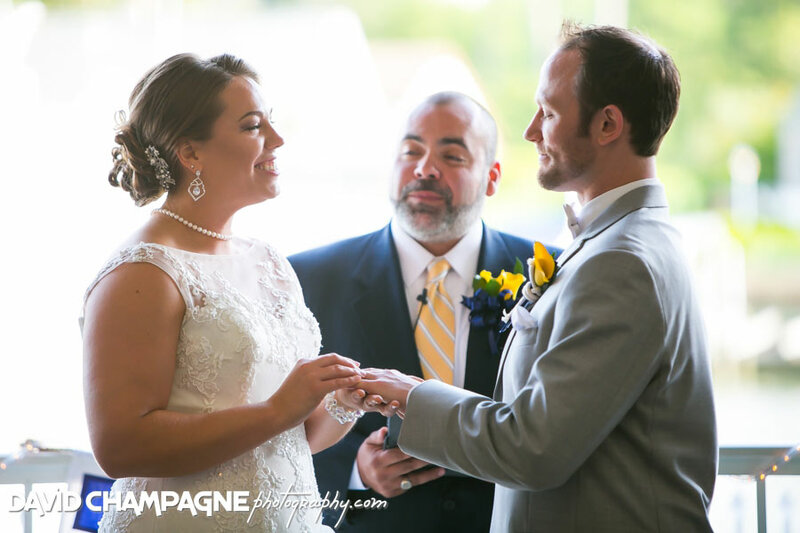 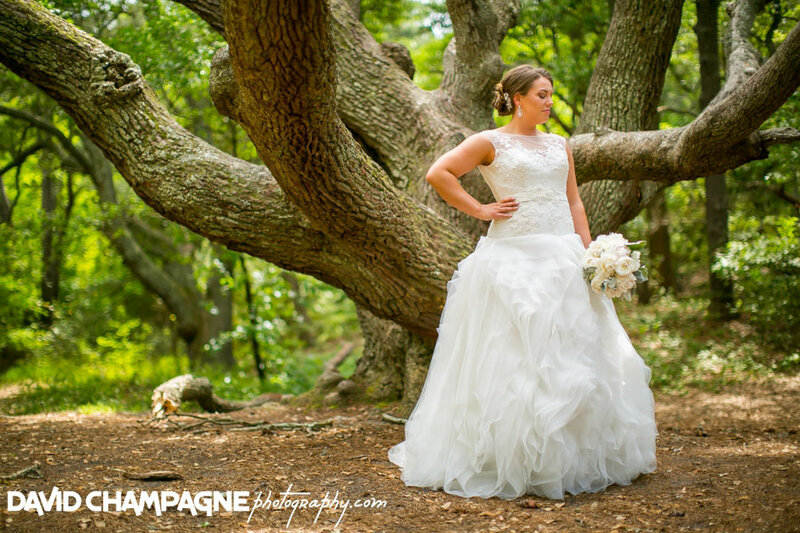 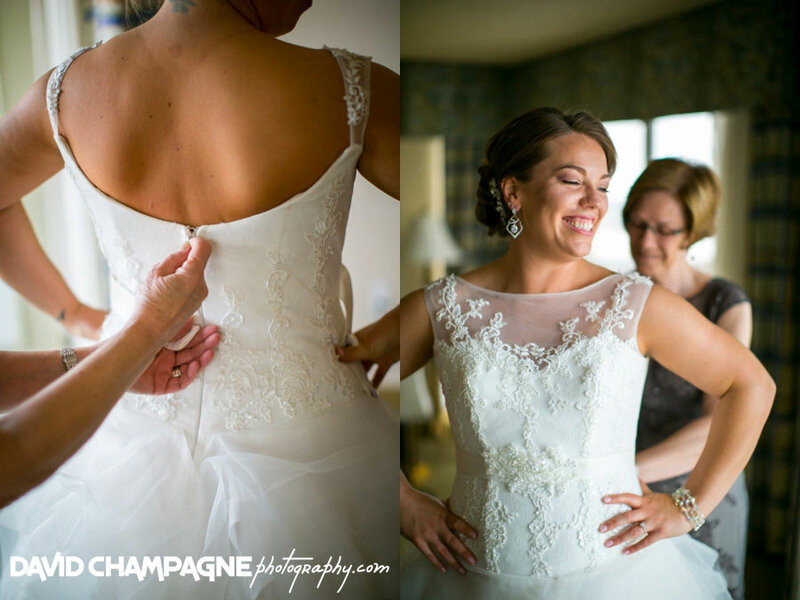 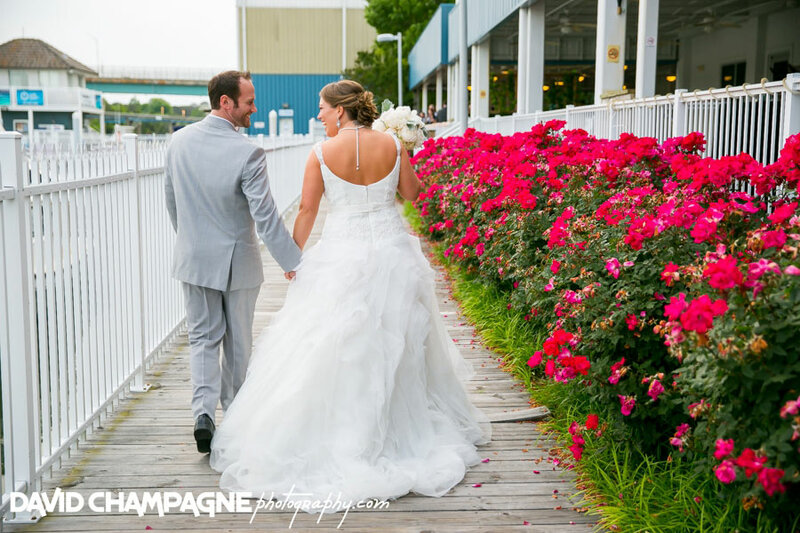 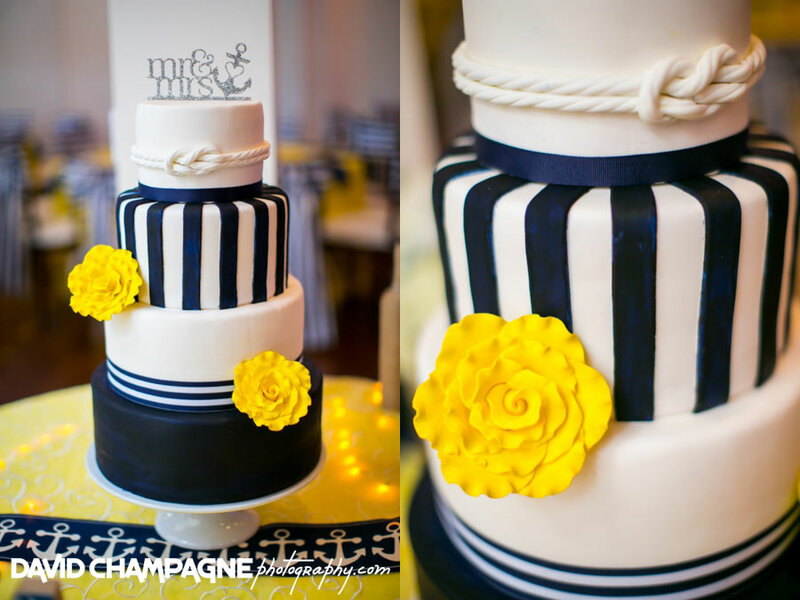 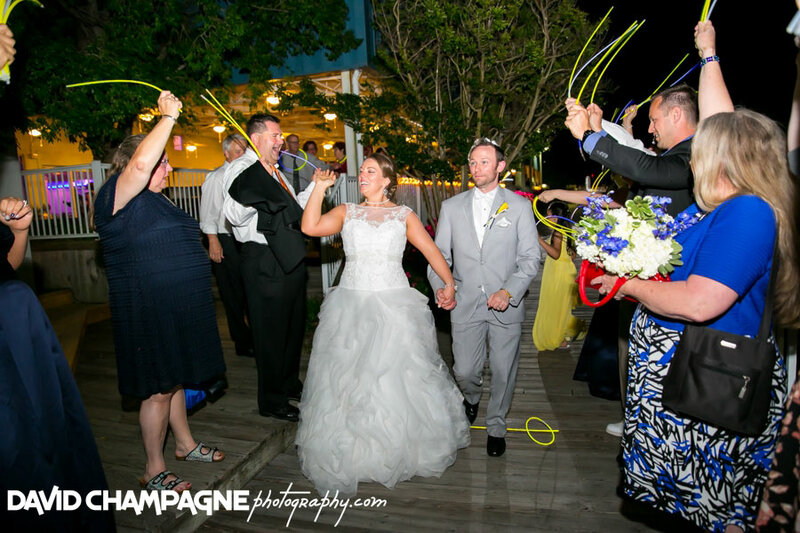 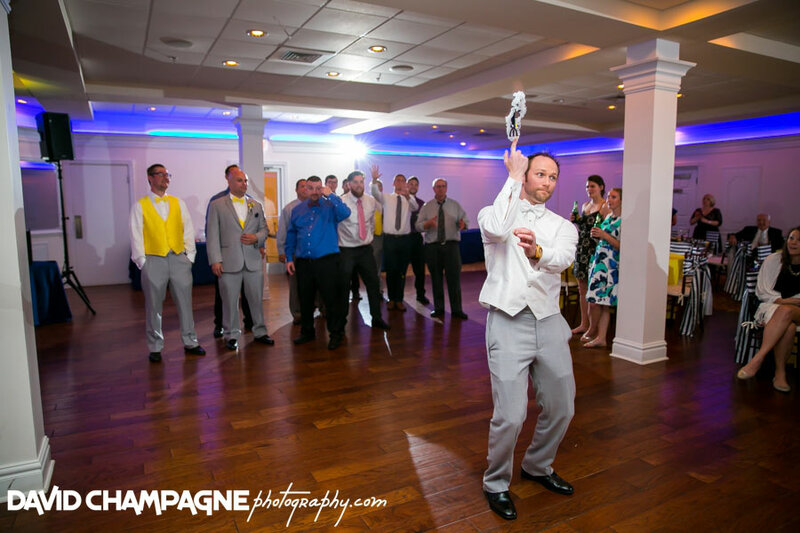 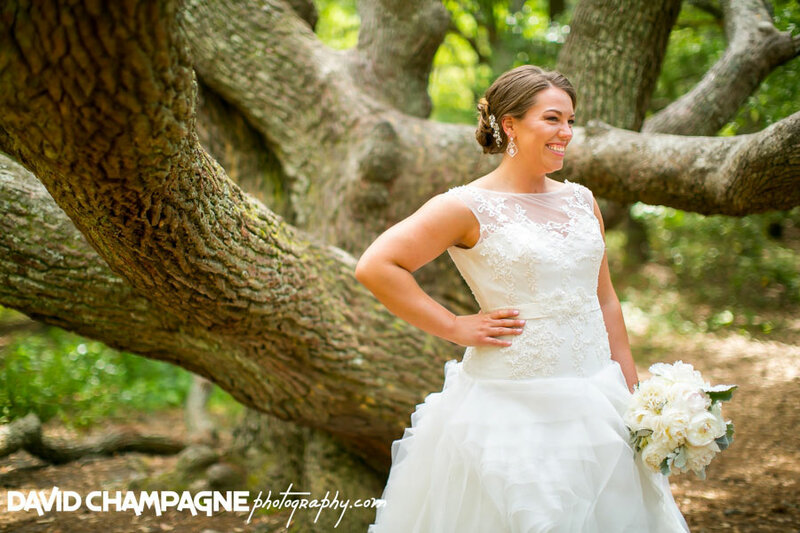 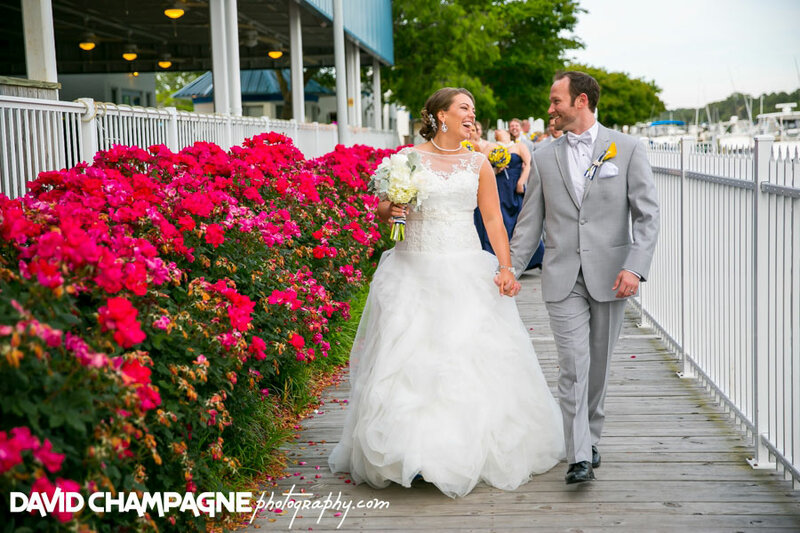 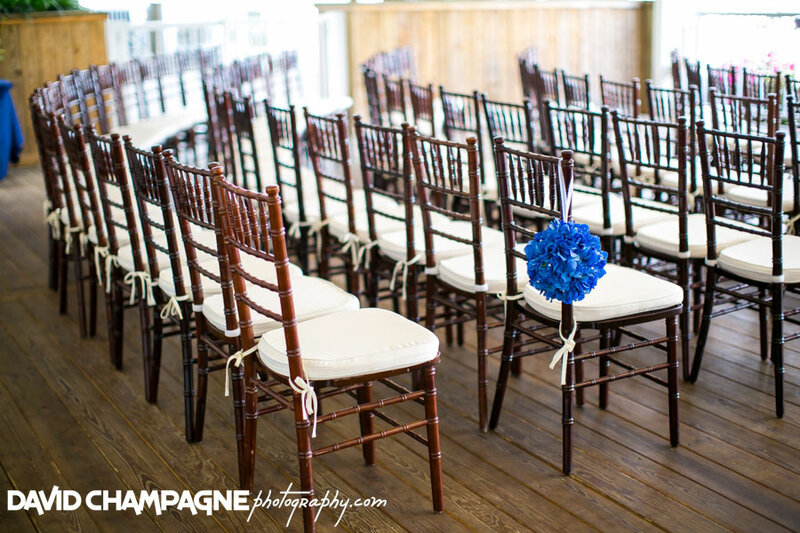 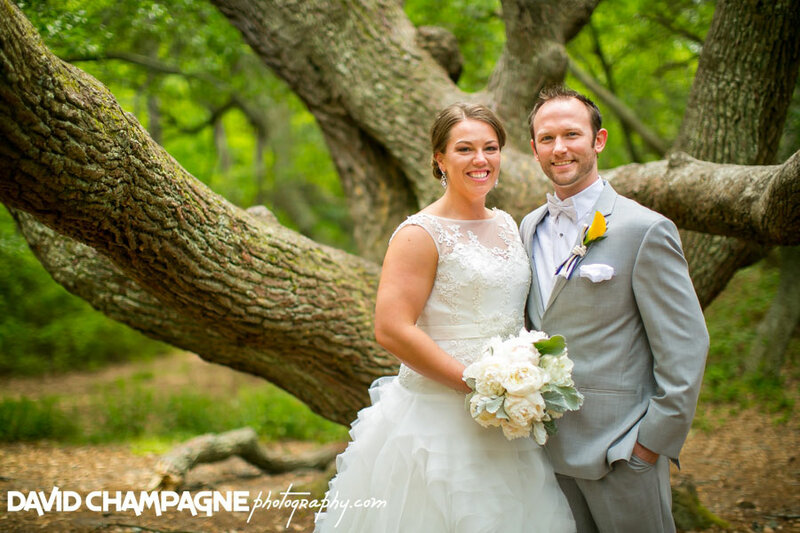 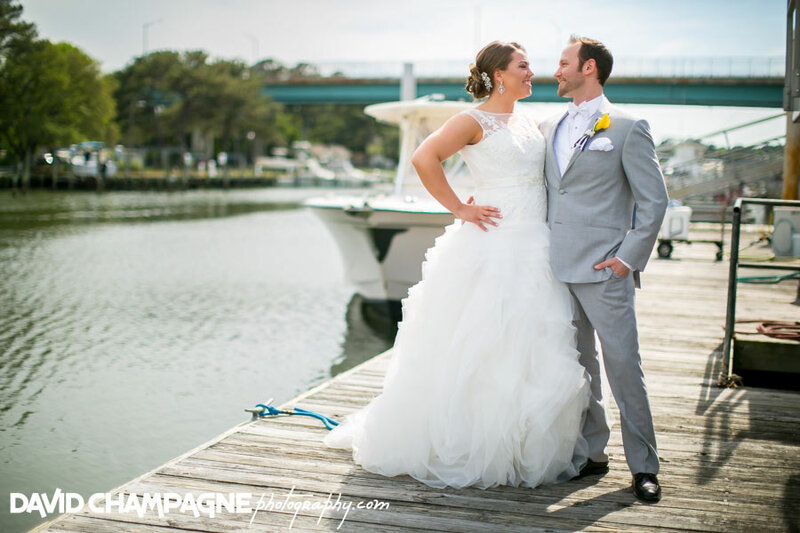 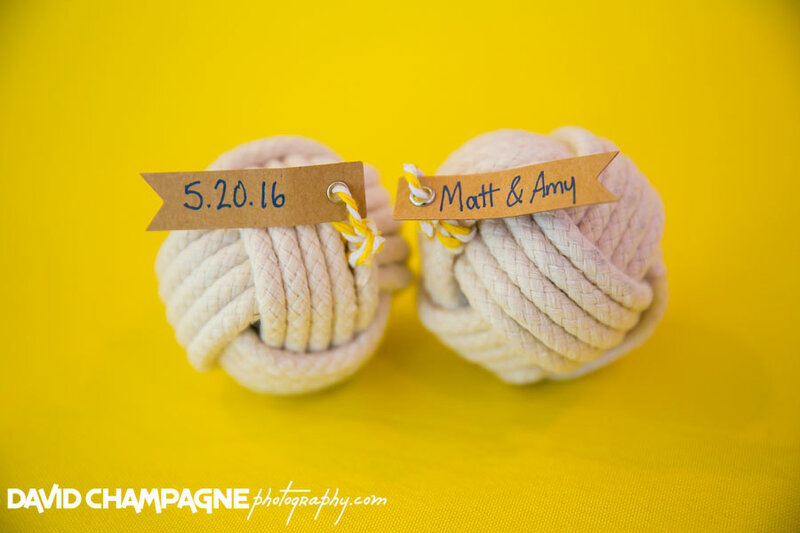 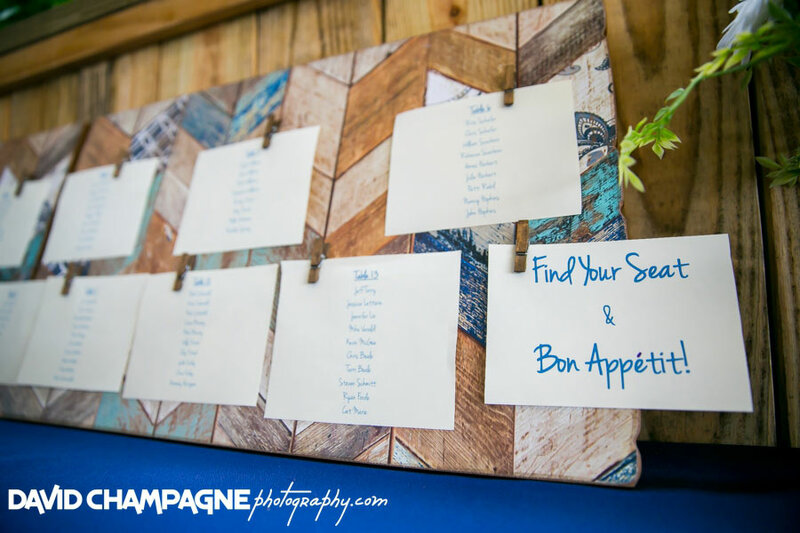 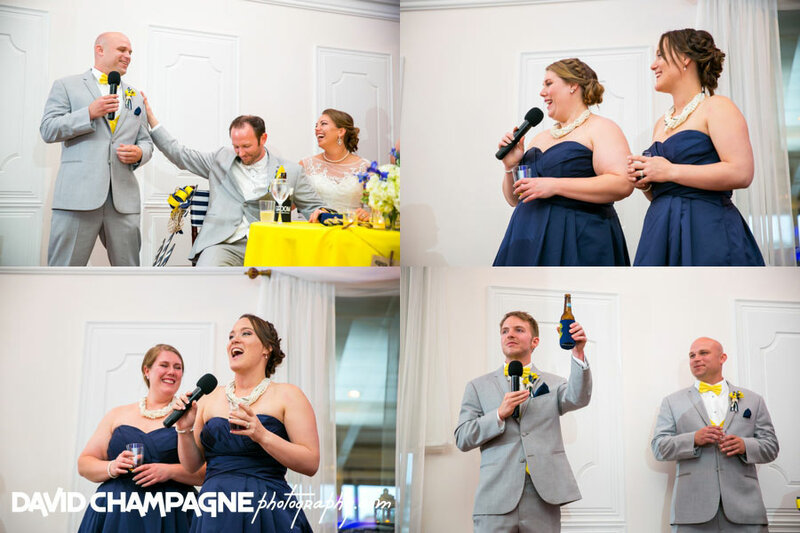 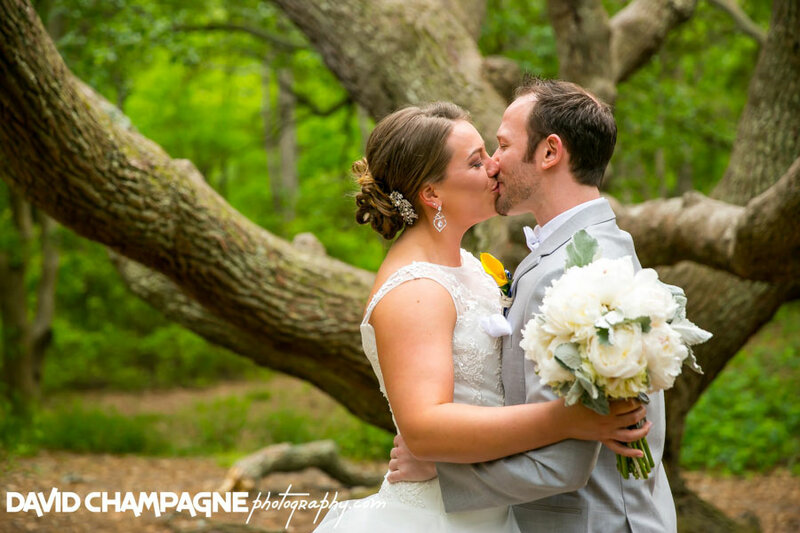 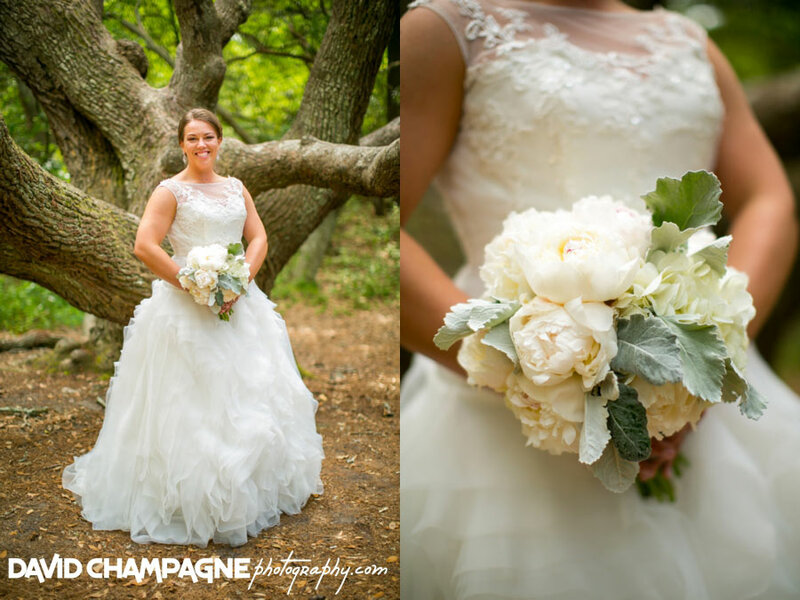 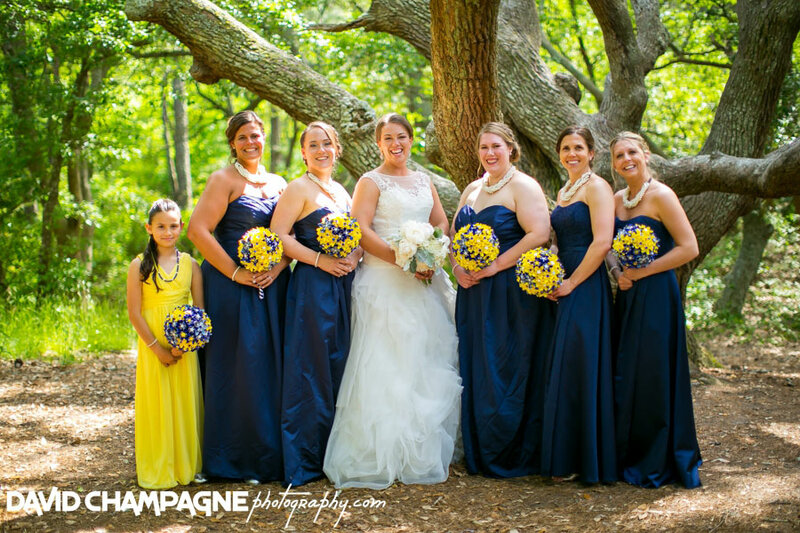 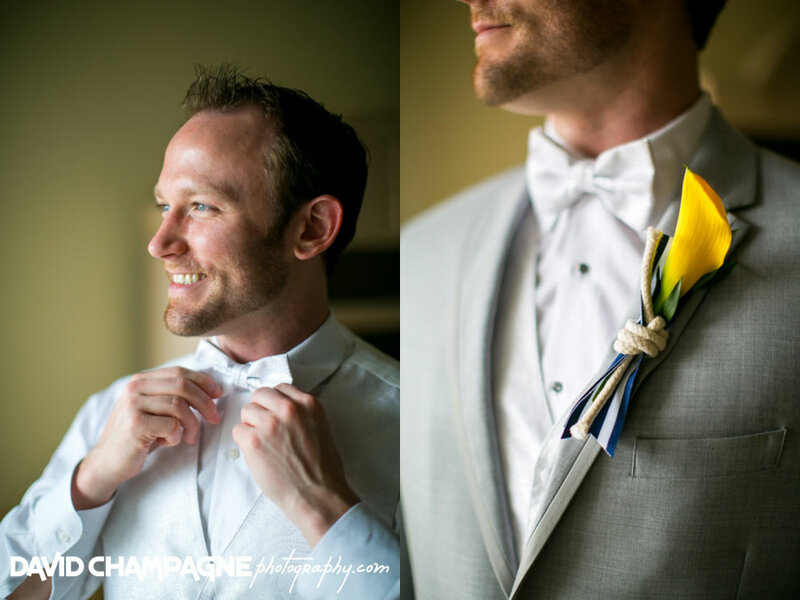 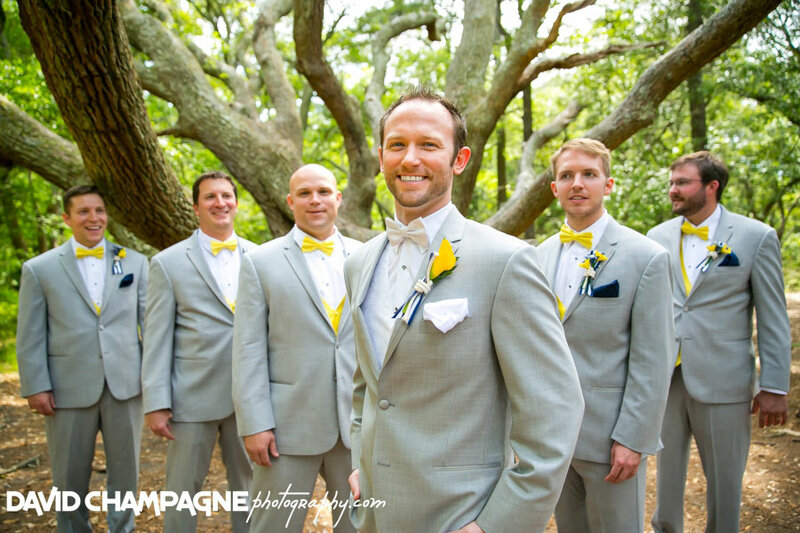 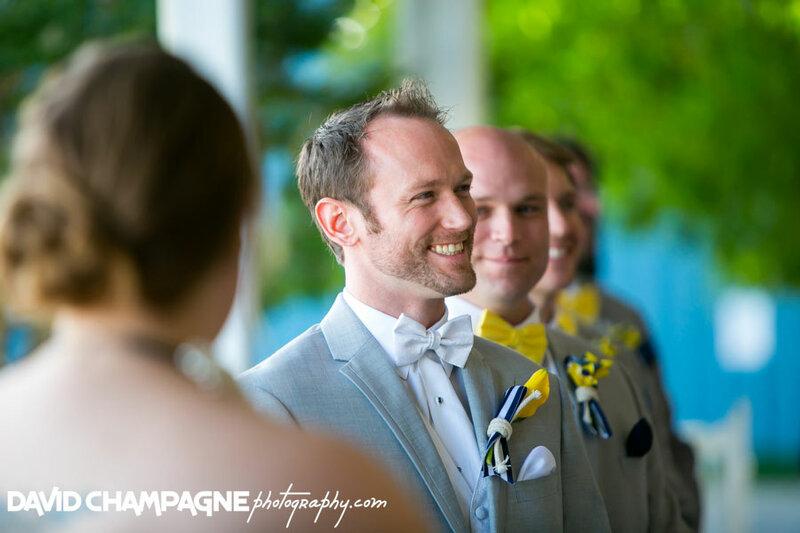 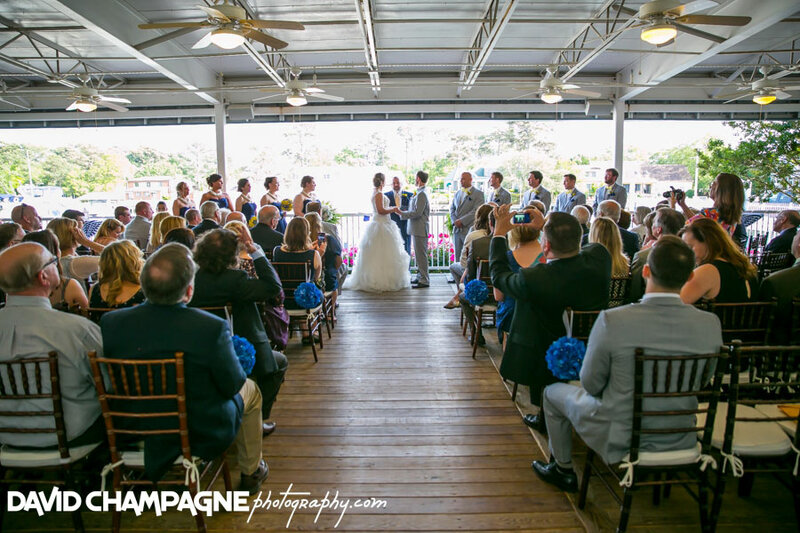 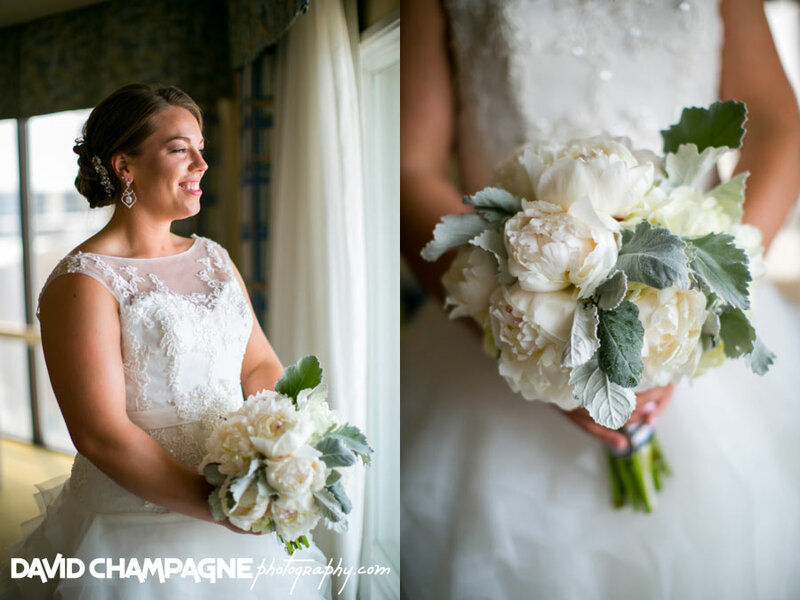 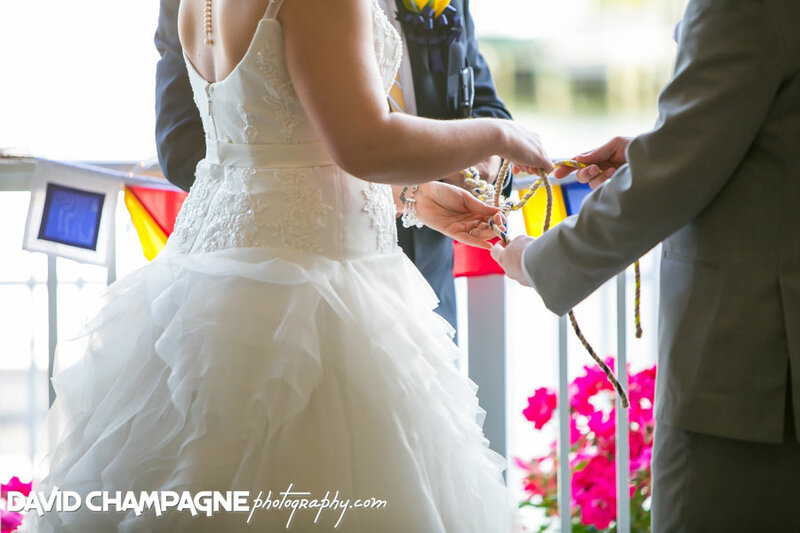 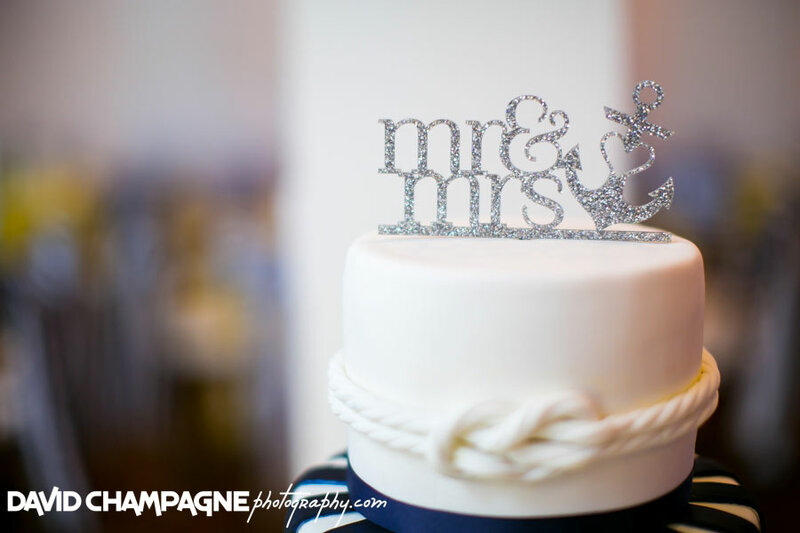 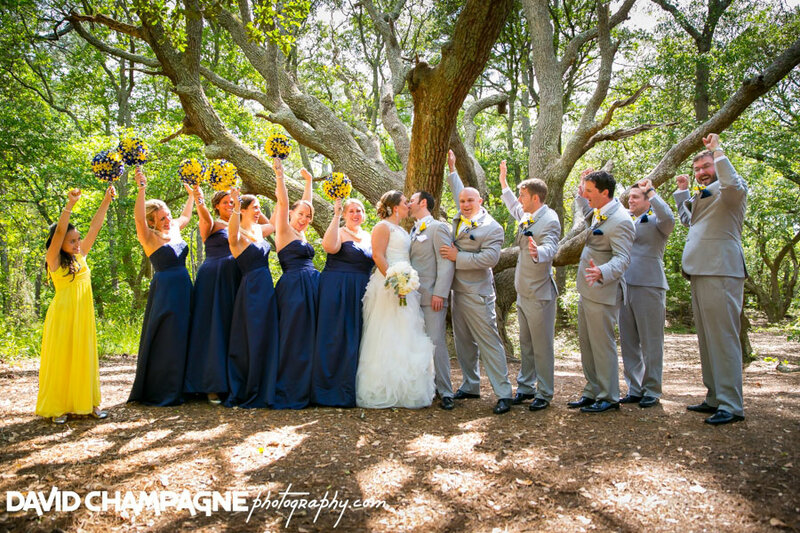 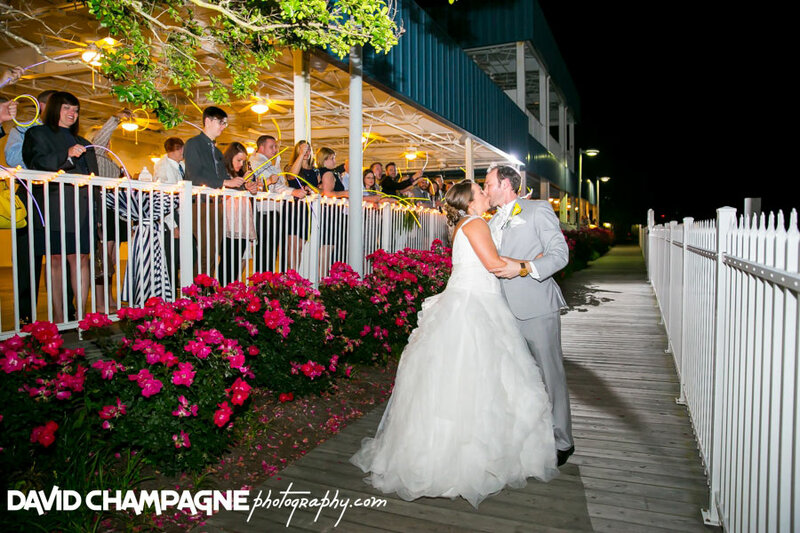 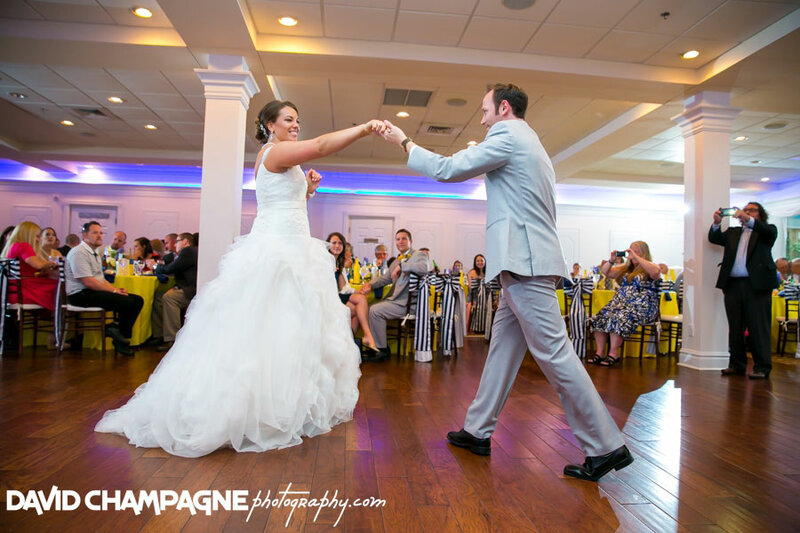 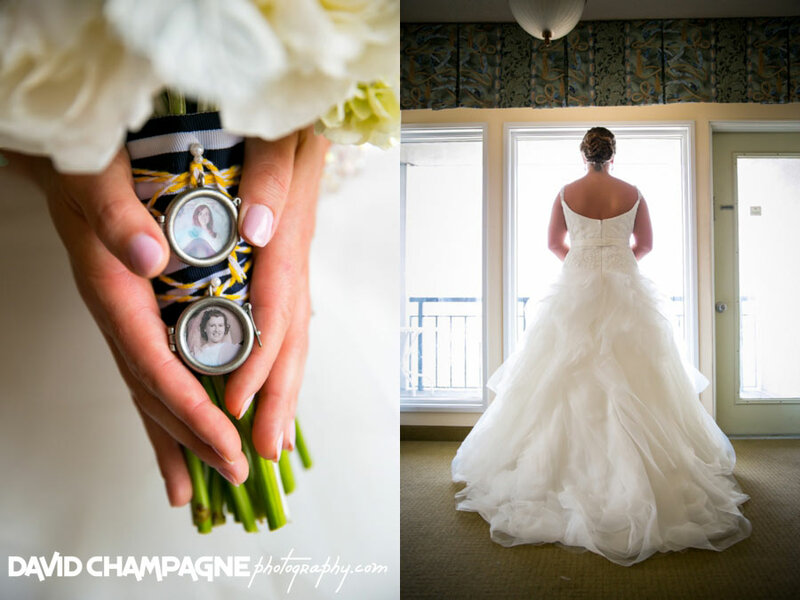 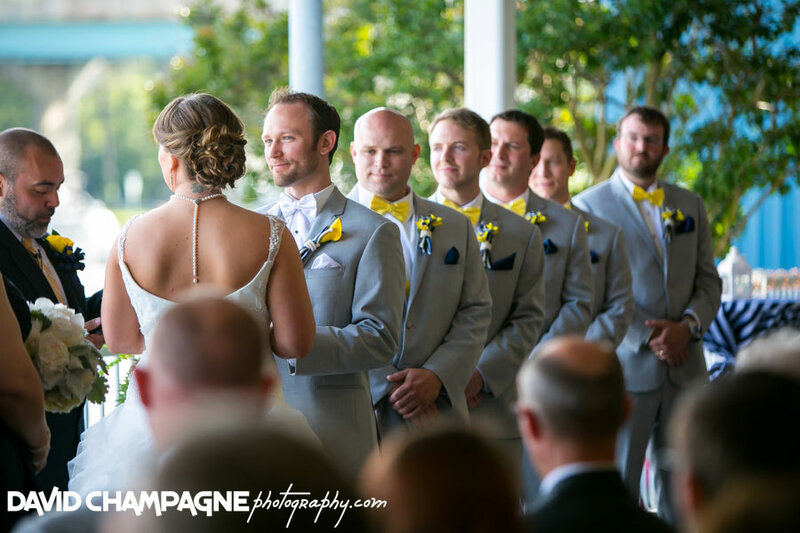 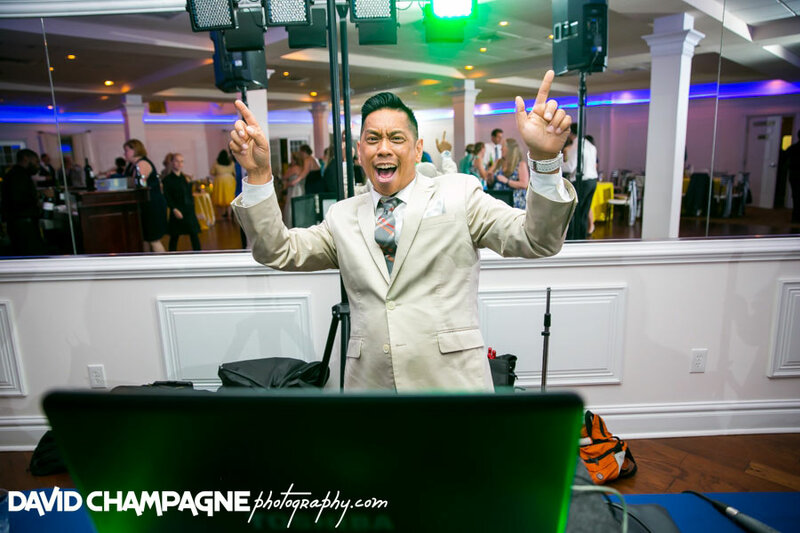 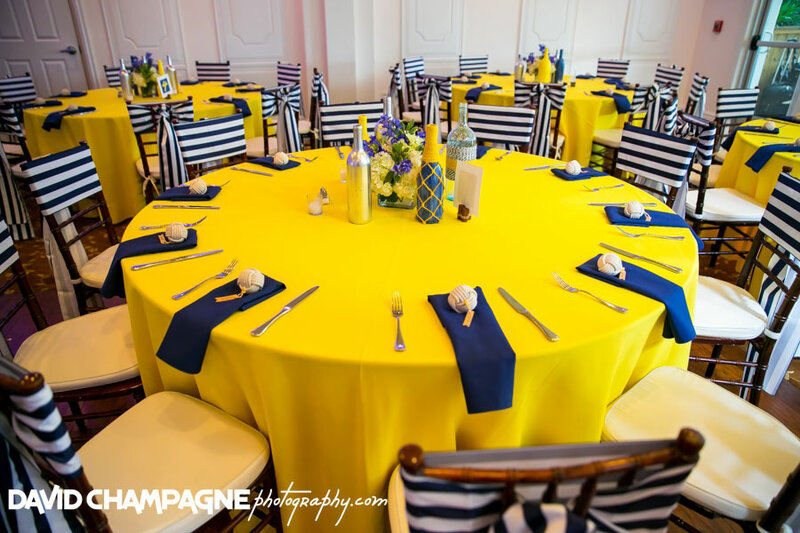 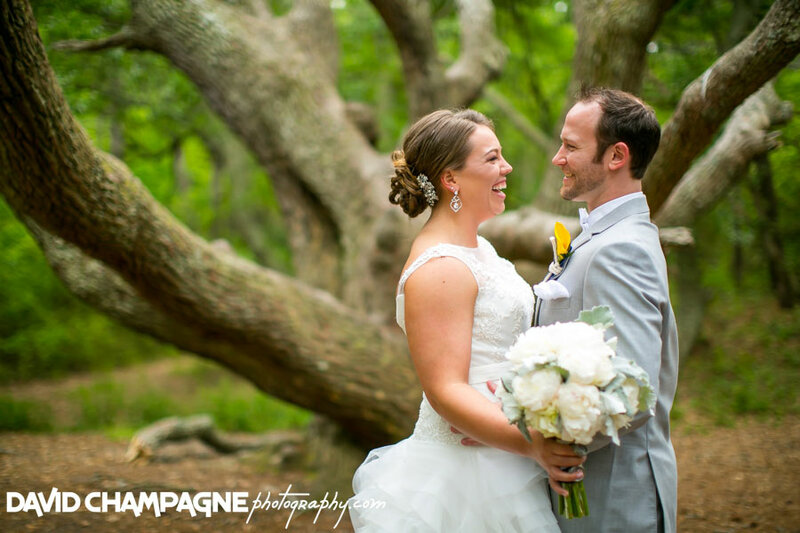 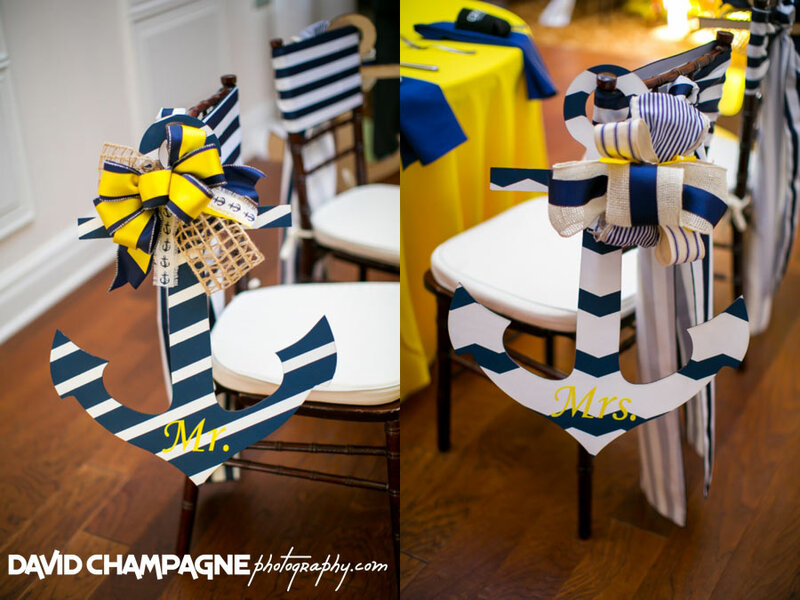 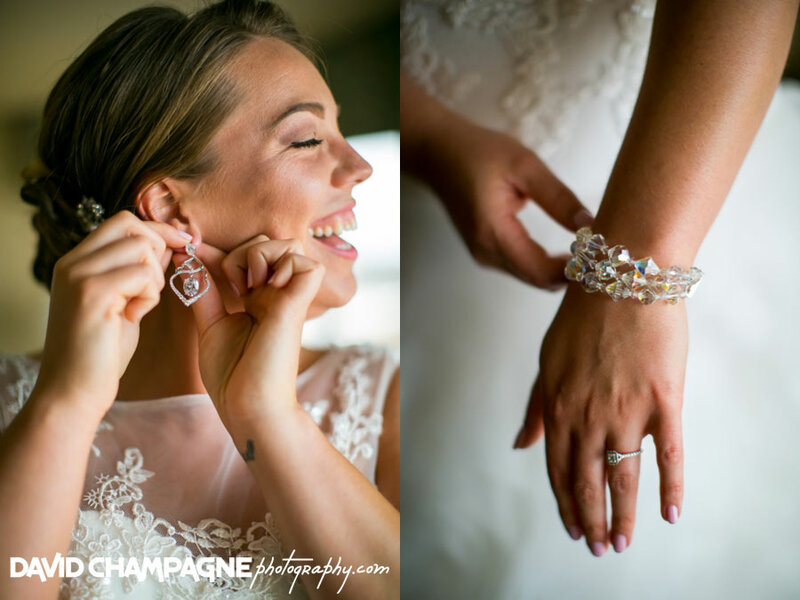 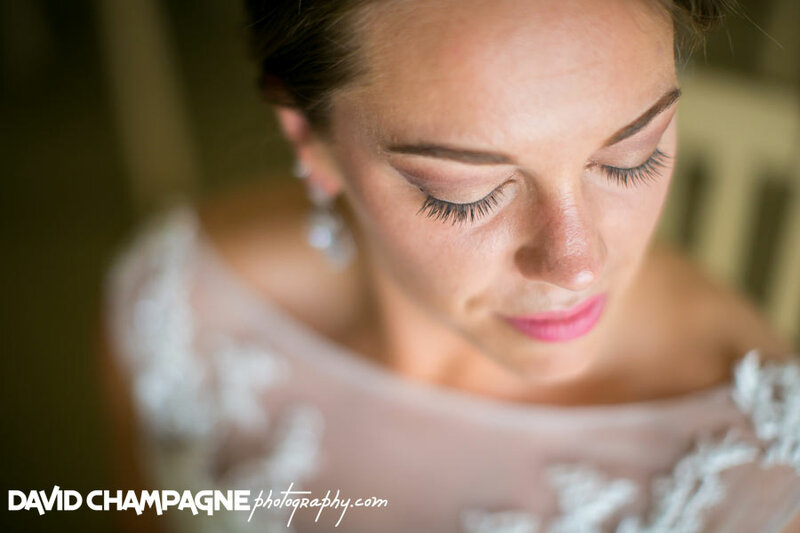 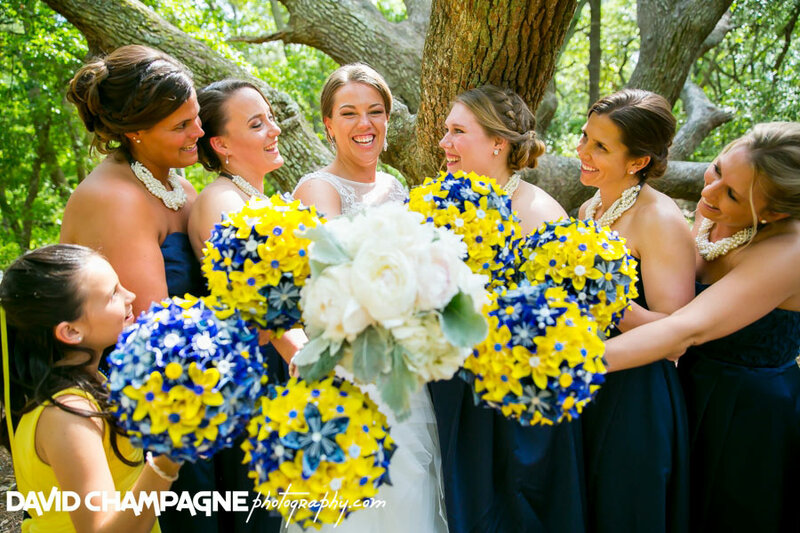 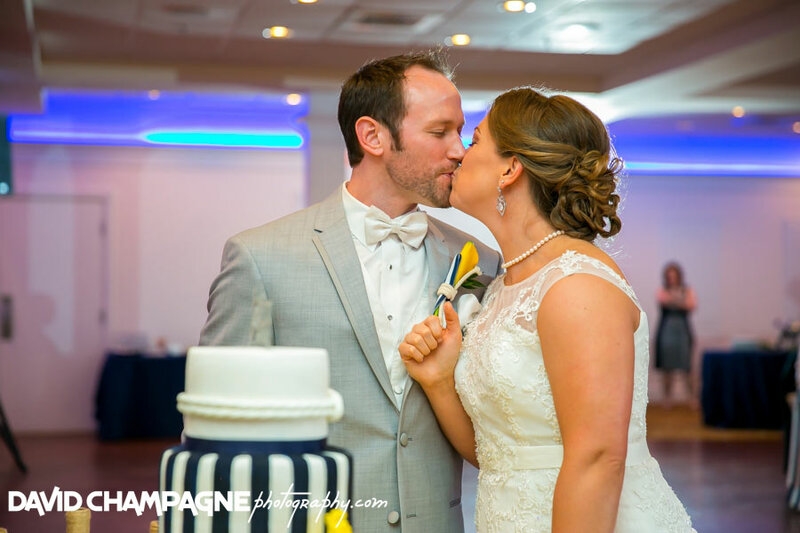 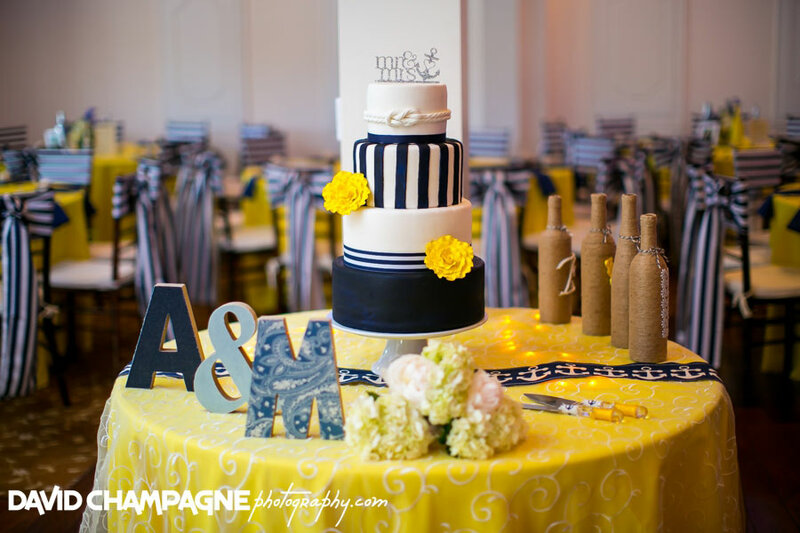 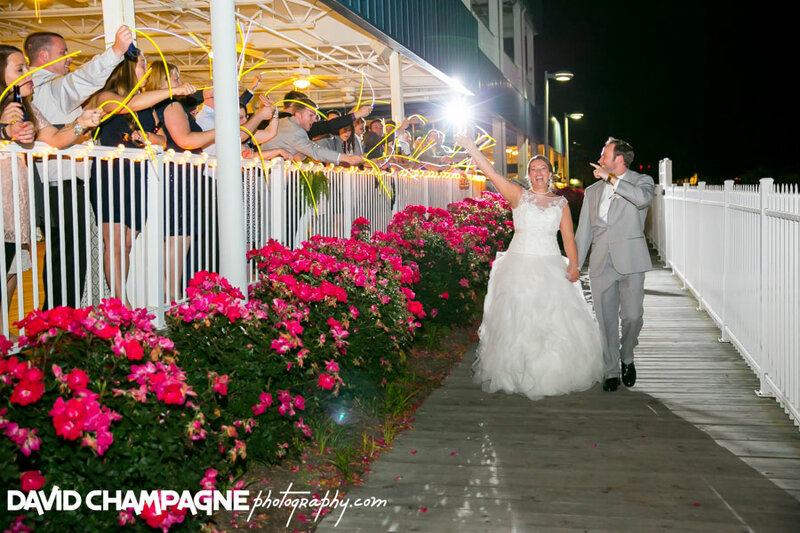 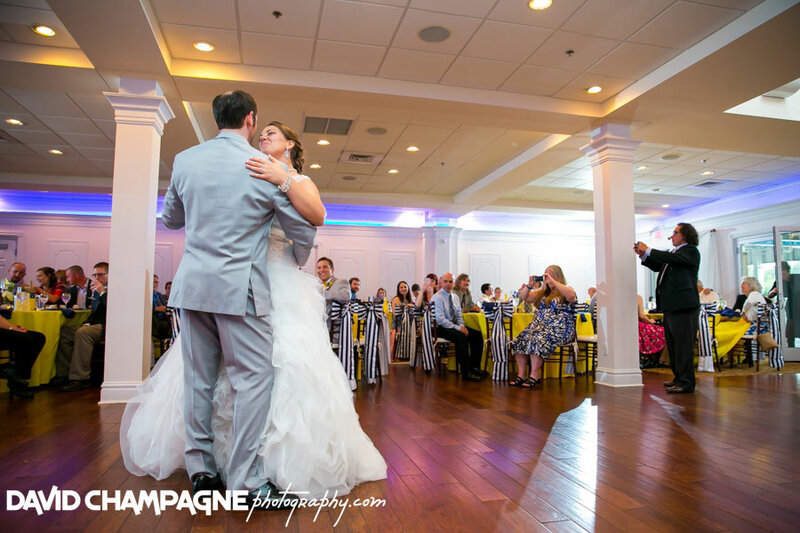 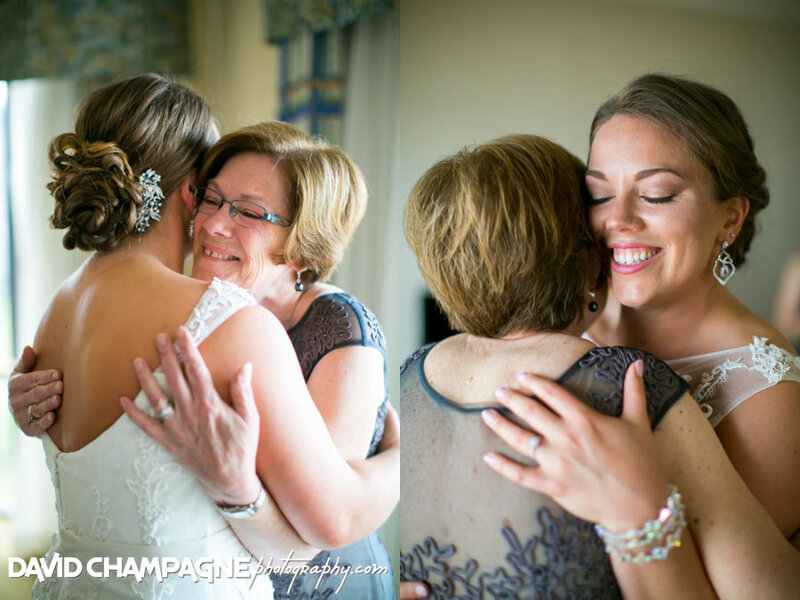 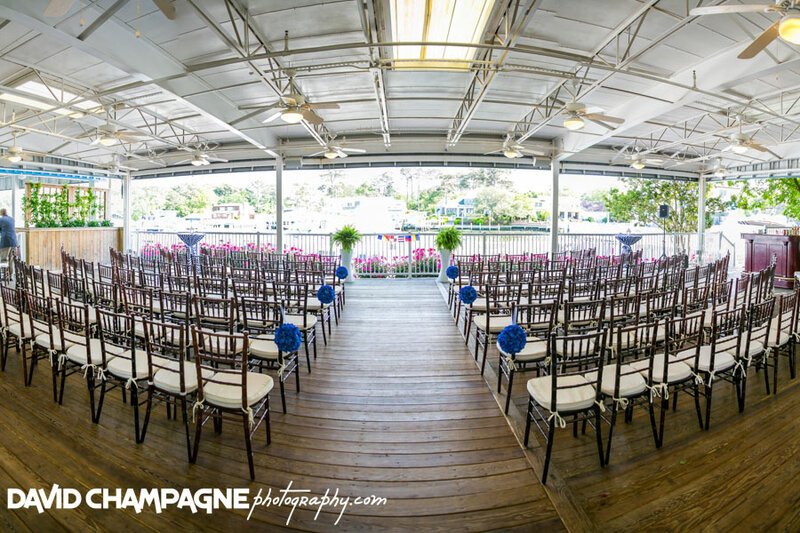 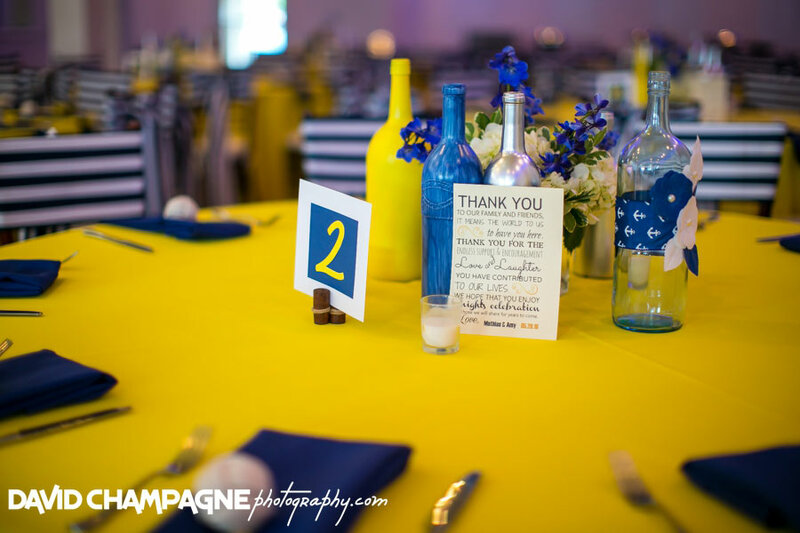 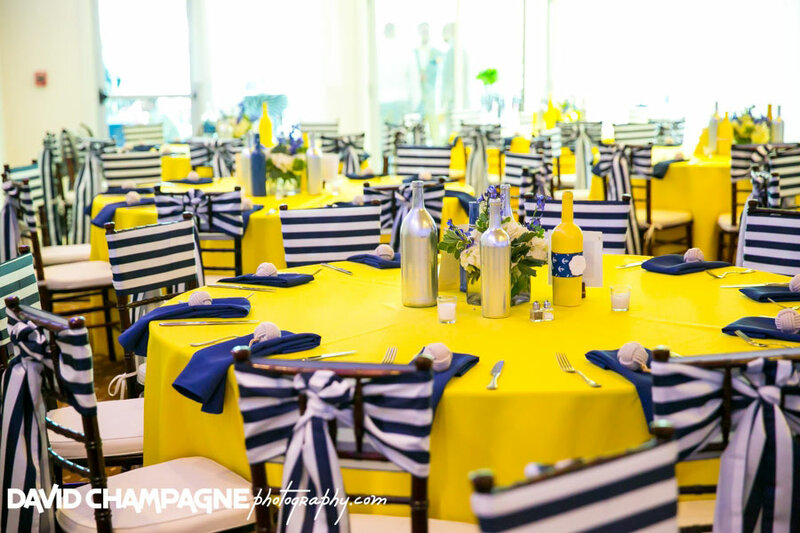 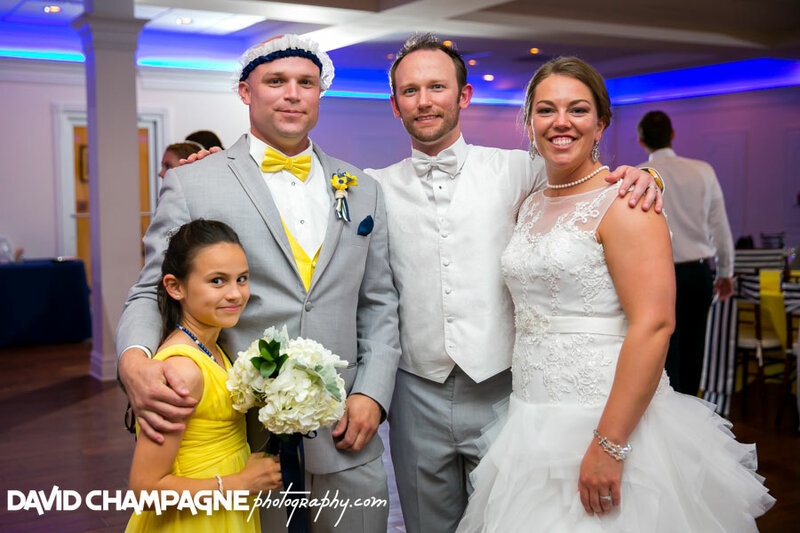 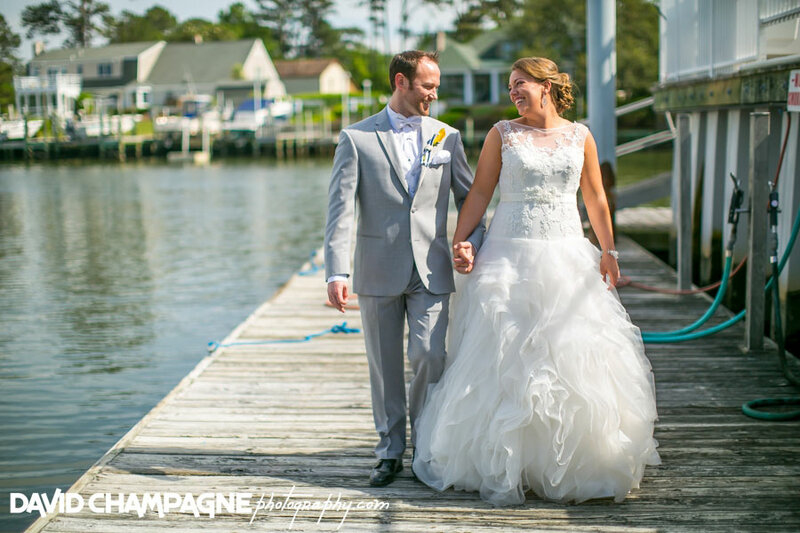 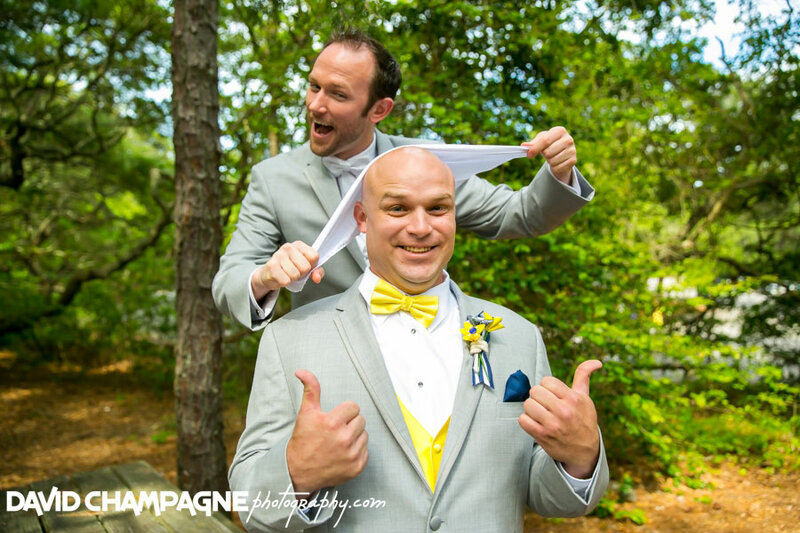 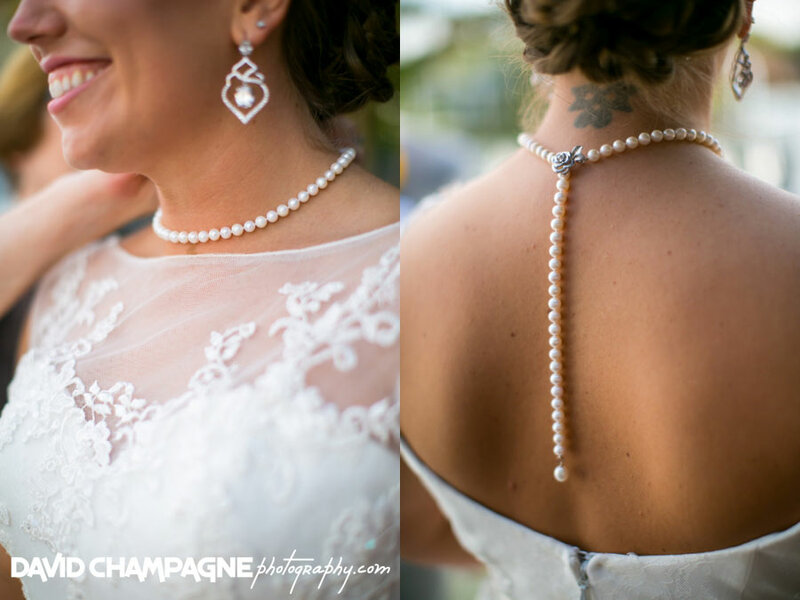 Amy and Mathias had their wedding and reception at the beautiful Yacht Club at Marina Shores in Virginia Beach, Virginia. 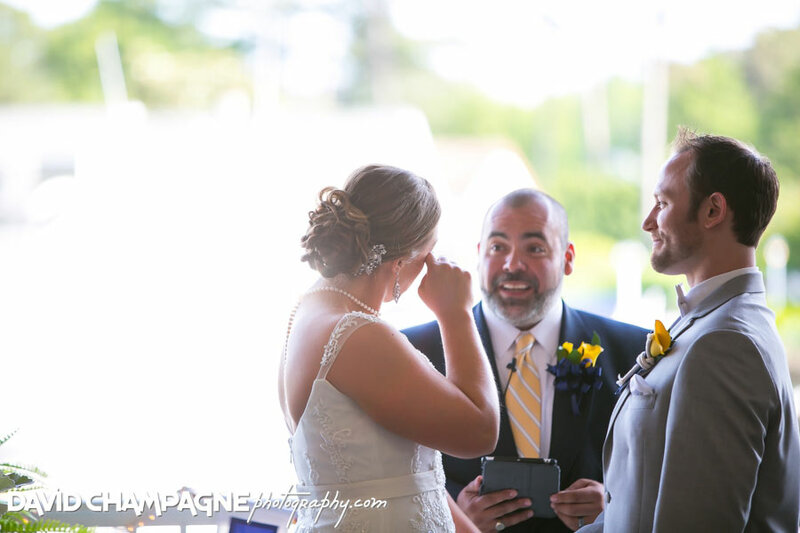 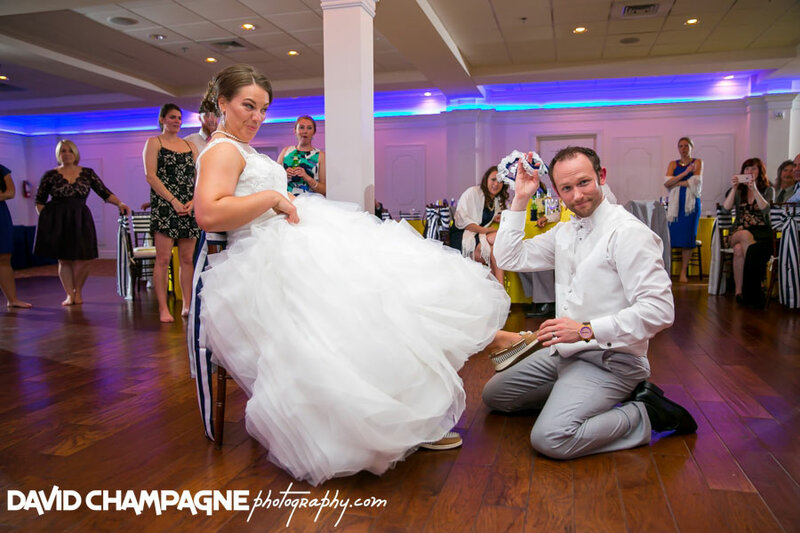 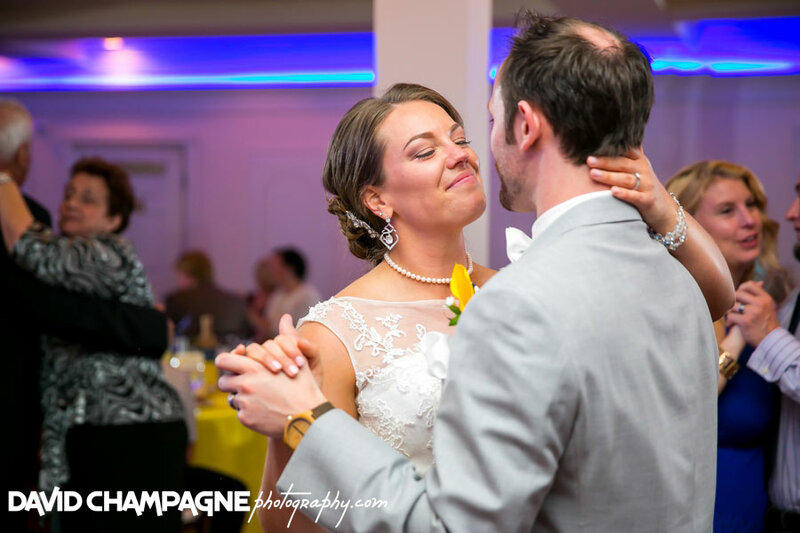 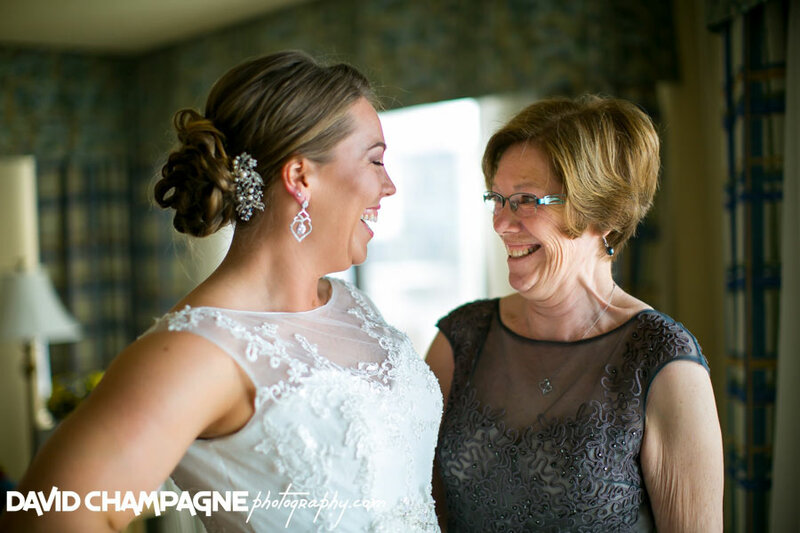 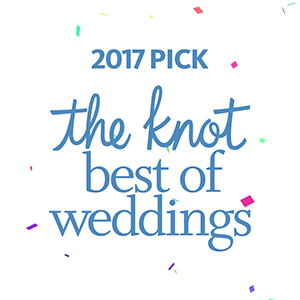 Check out the following links to view their Wedding Slideshow, Online Gallery, and Facebook Post in a new window and feel free to leave comments! 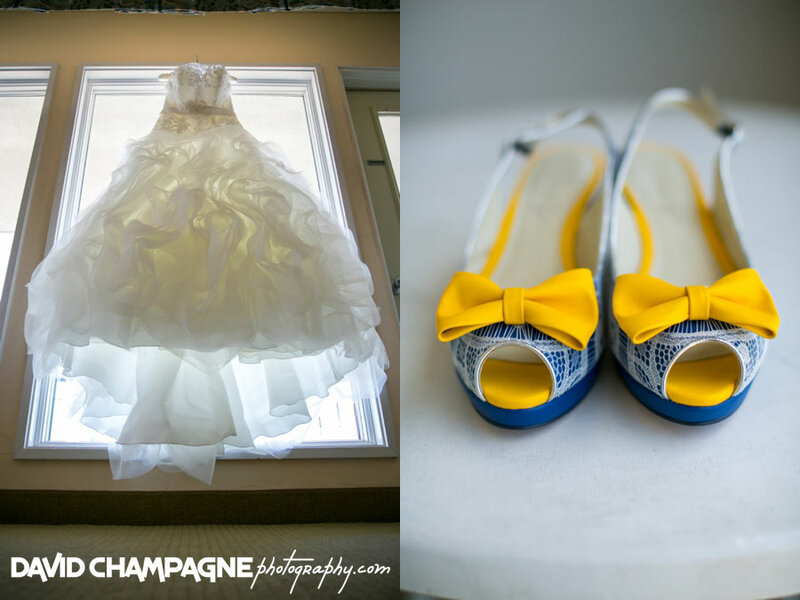 Some of their unique wedding details were the bride’s custom designed wedding shoes, a pearl necklace and a wooden watch and wedding gifts for the bride and groom, meticulously handmade paper flower bridesmaids bouquets, a subtle nautical theme carried throughout the wedding, arched rows of chiavari chairs for the wedding ceremony, hand painted wine bottles for the reception centerpieces, and a glow stick and boat grand exit from the wedding reception. 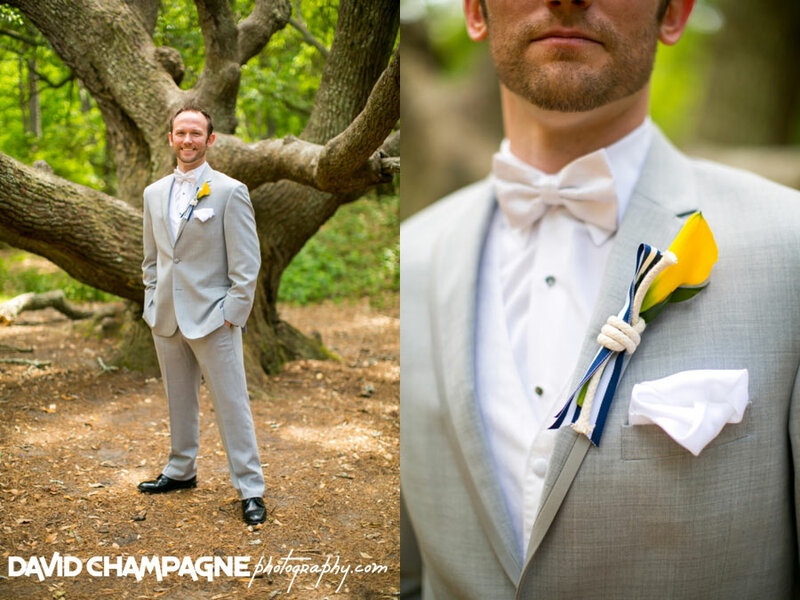 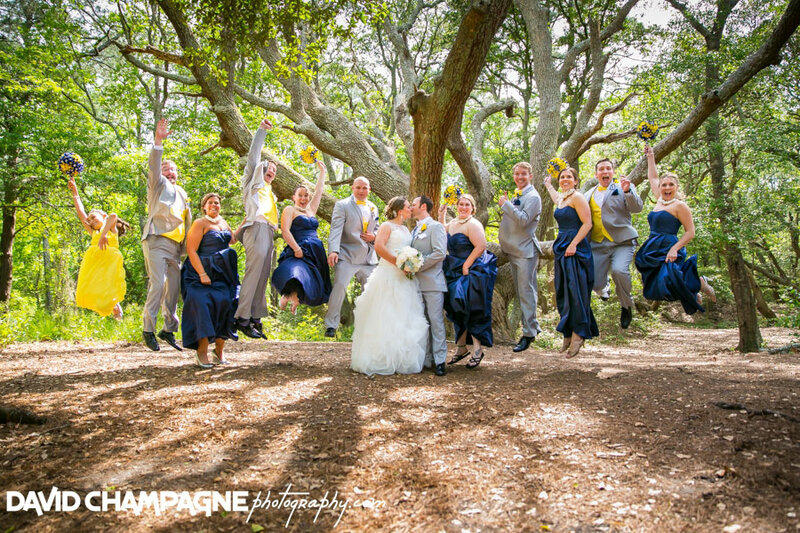 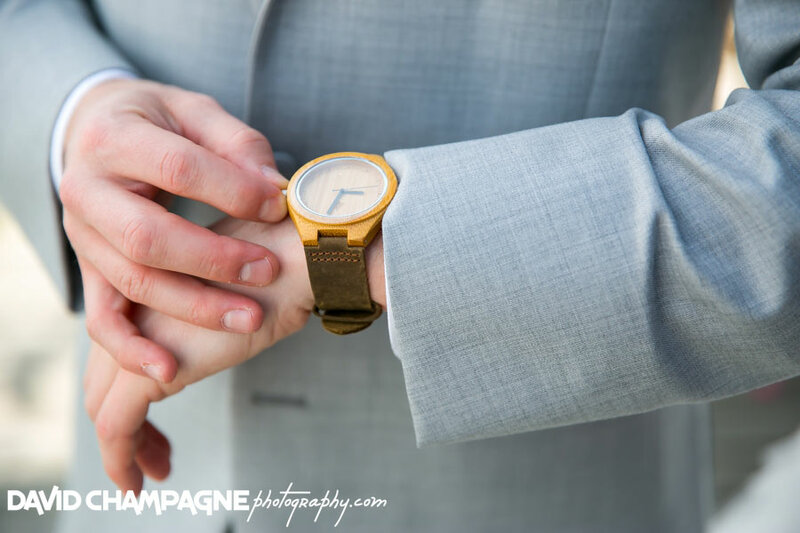 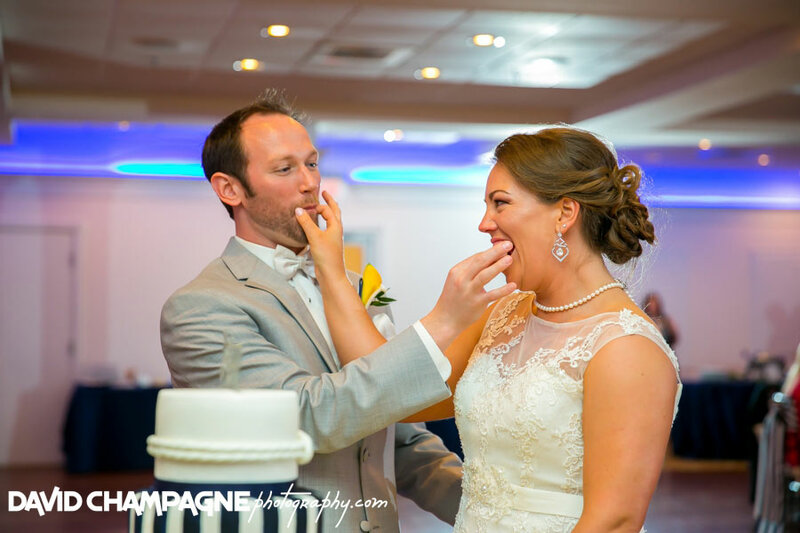 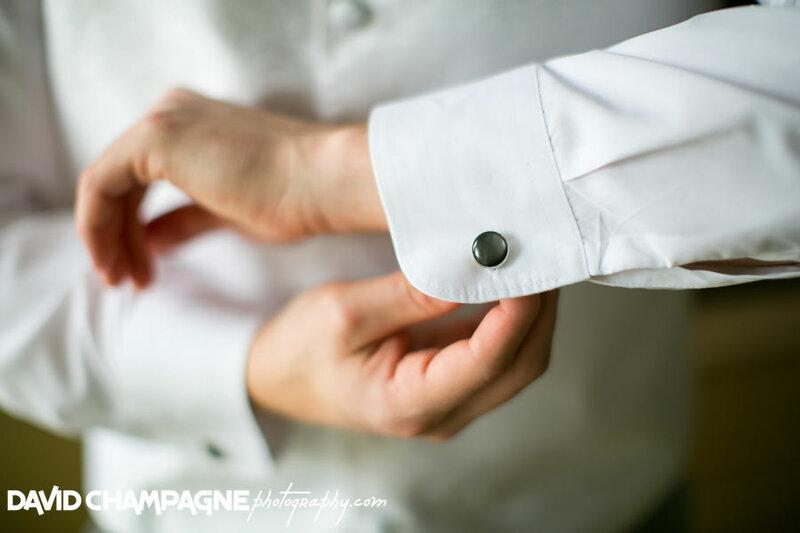 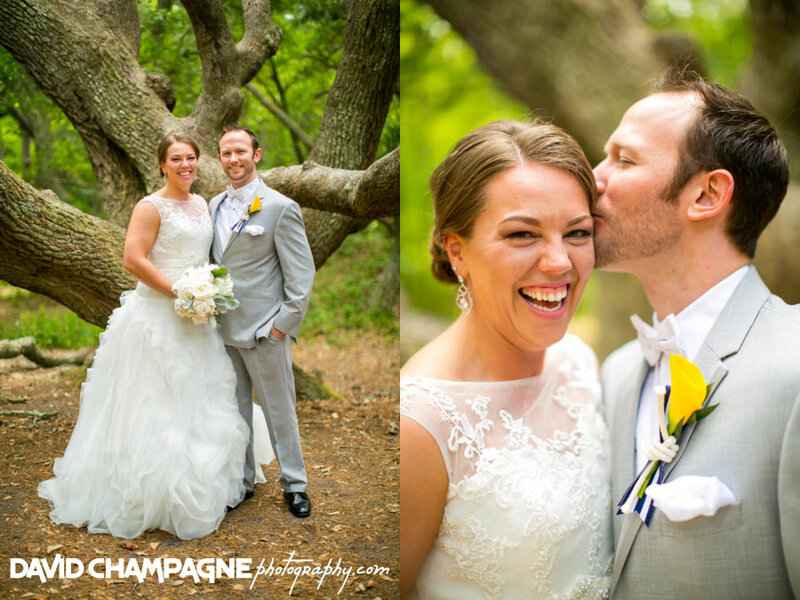 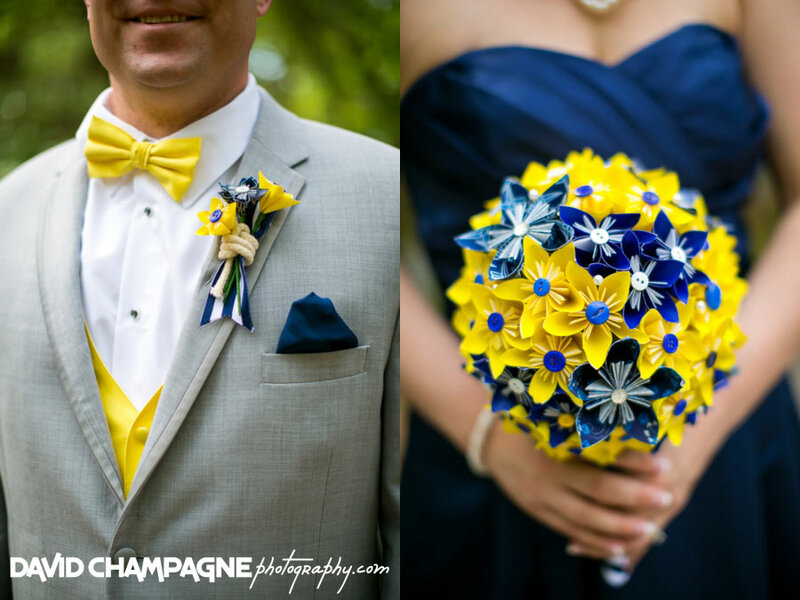 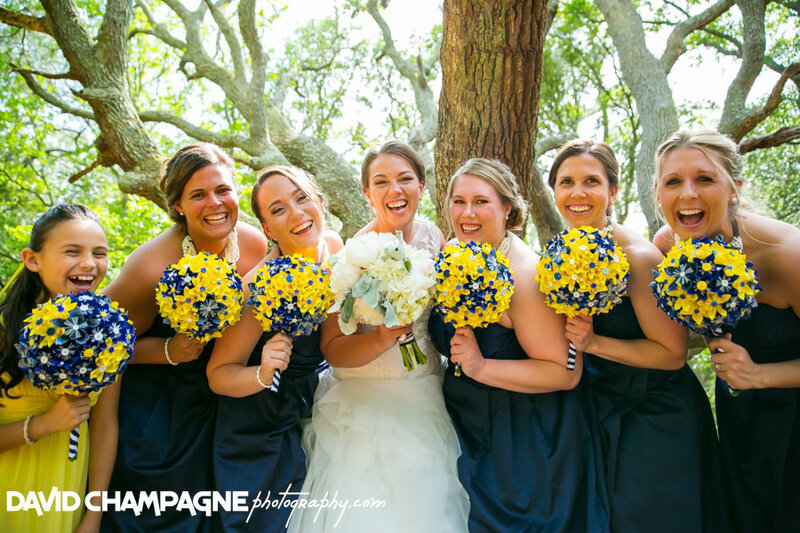 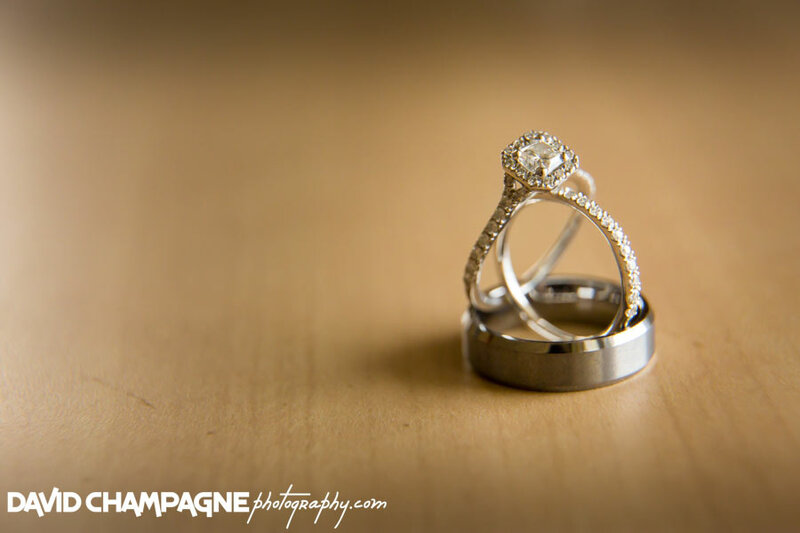 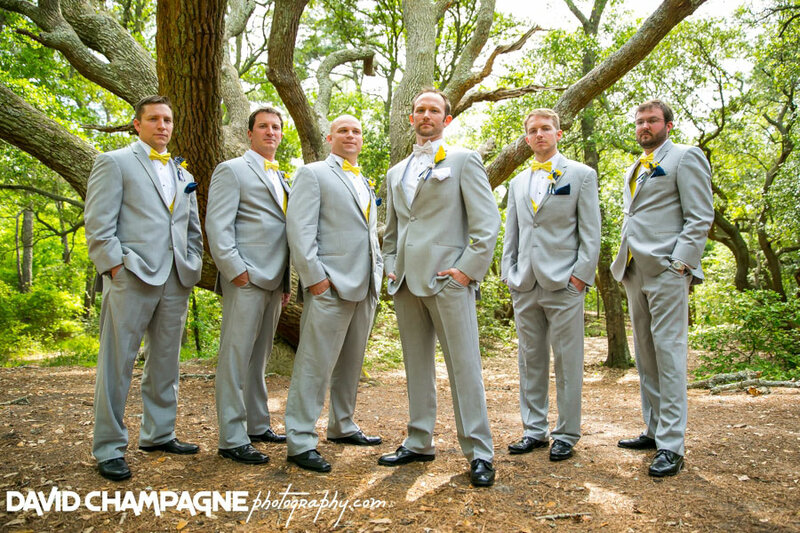 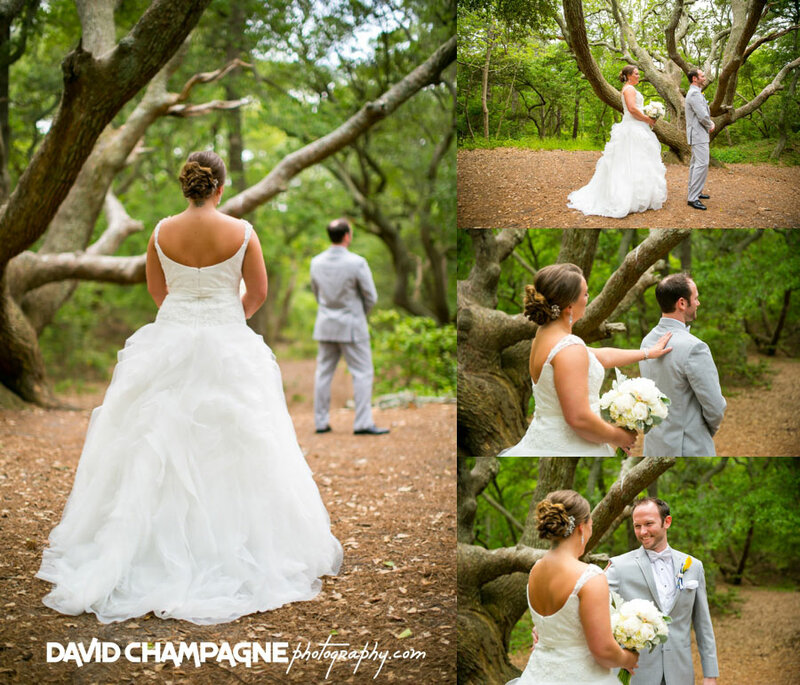 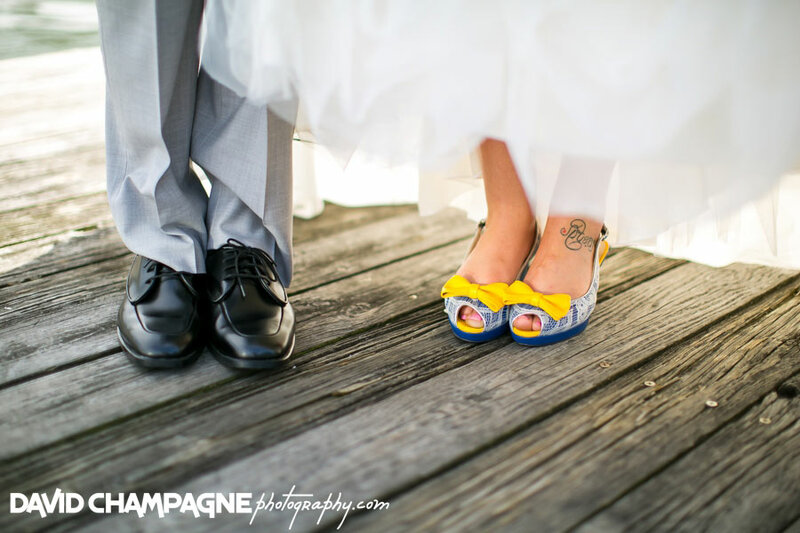 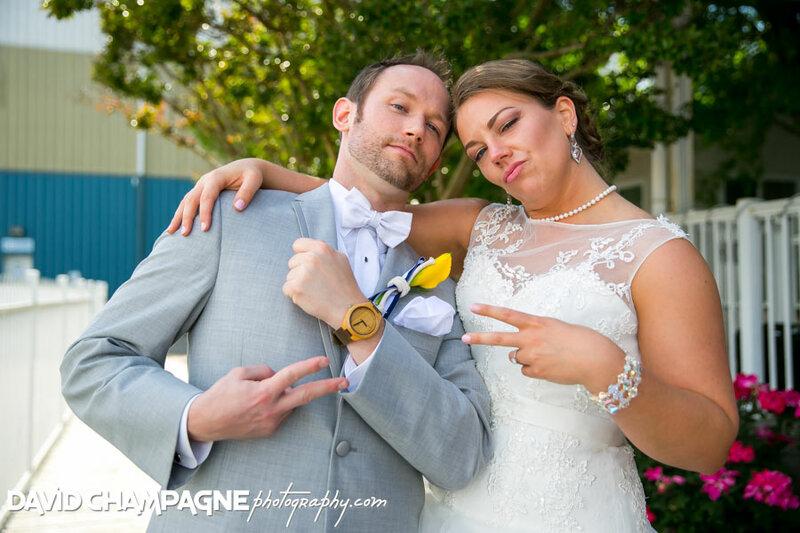 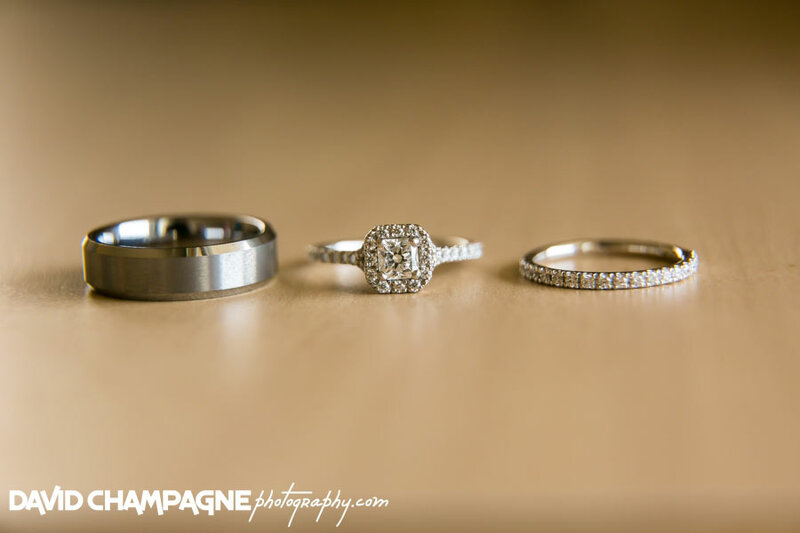 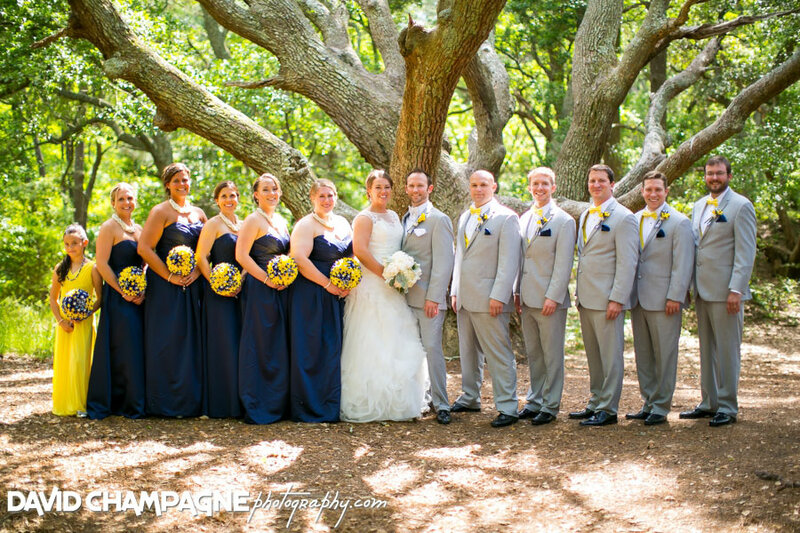 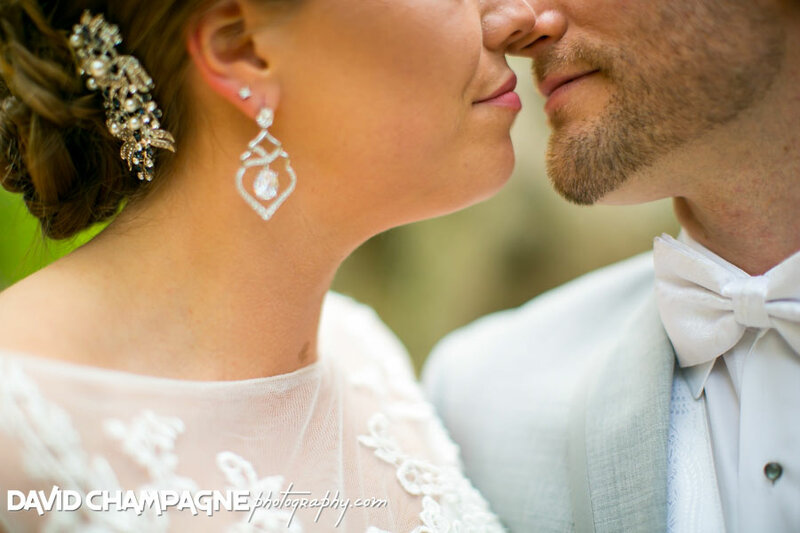 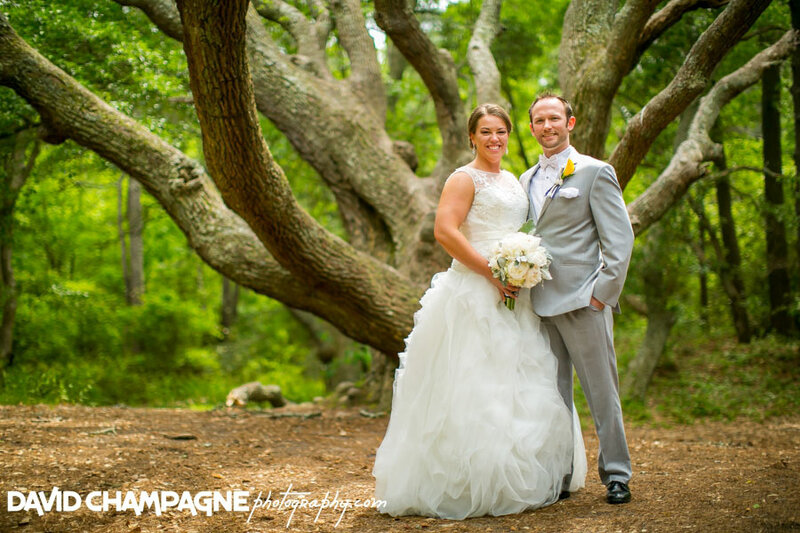 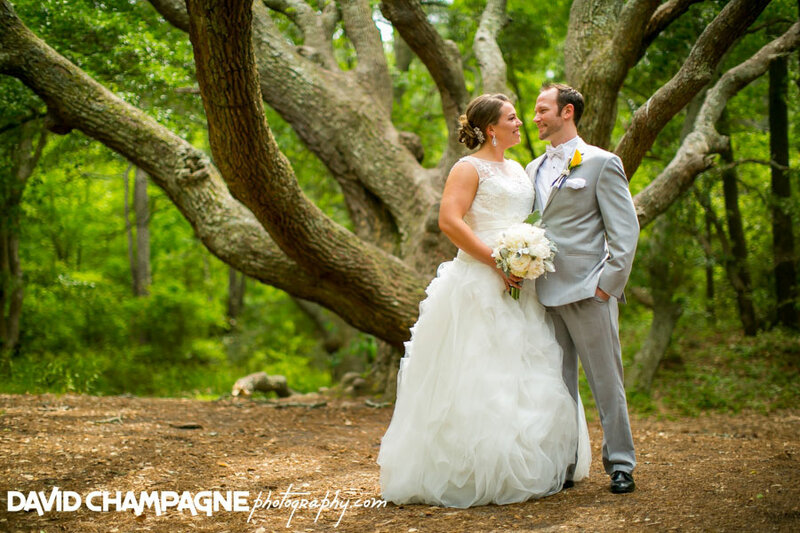 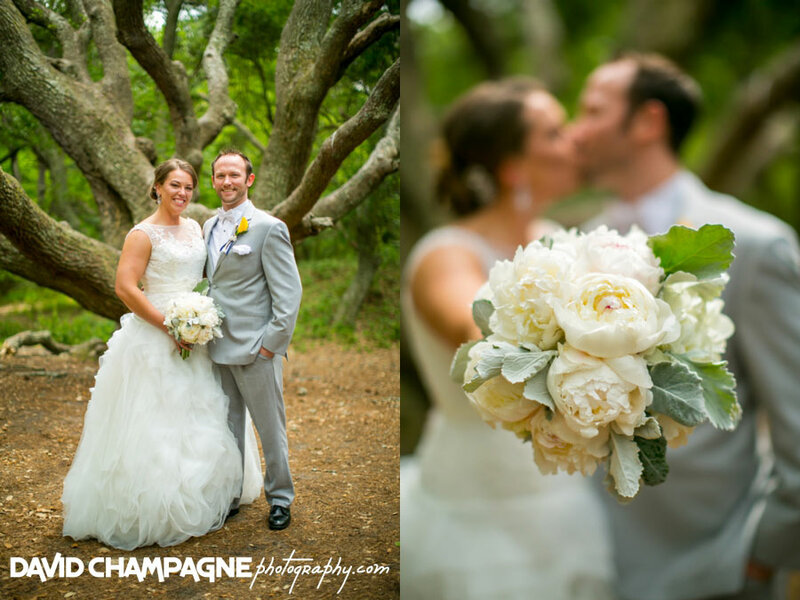 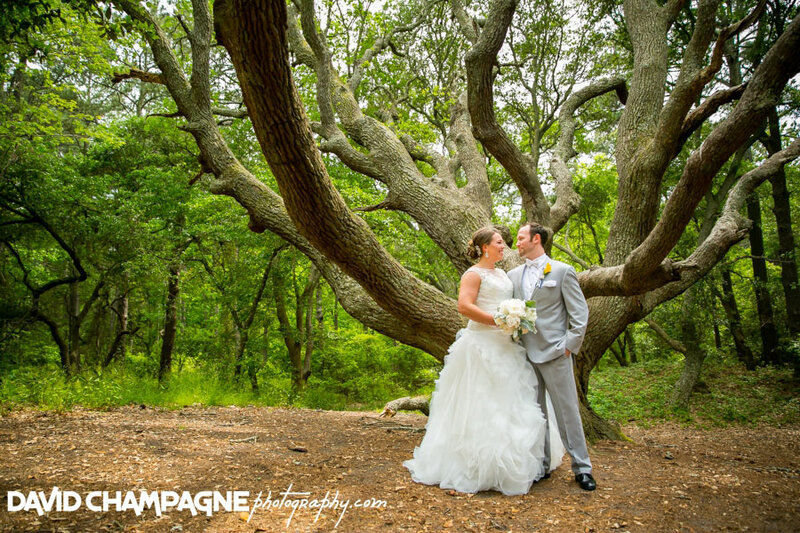 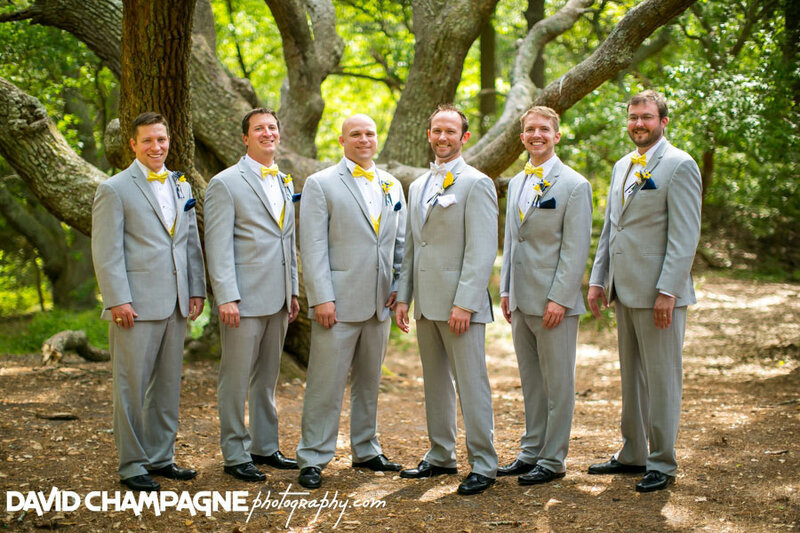 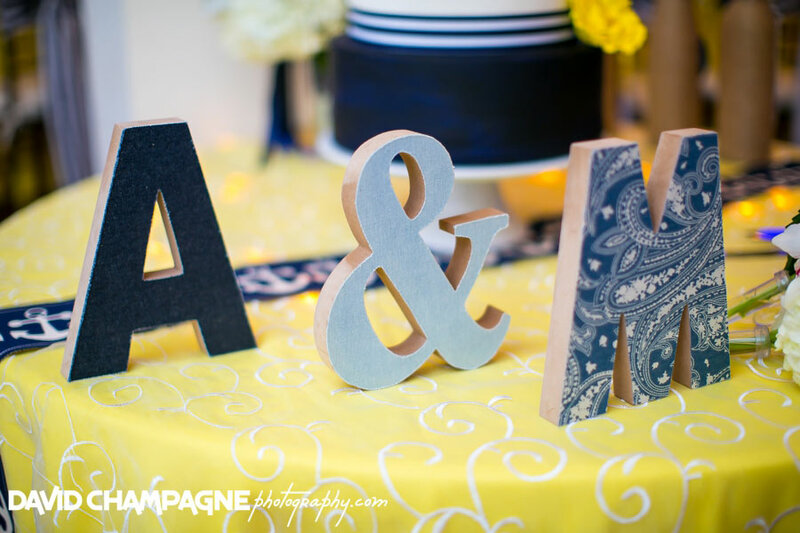 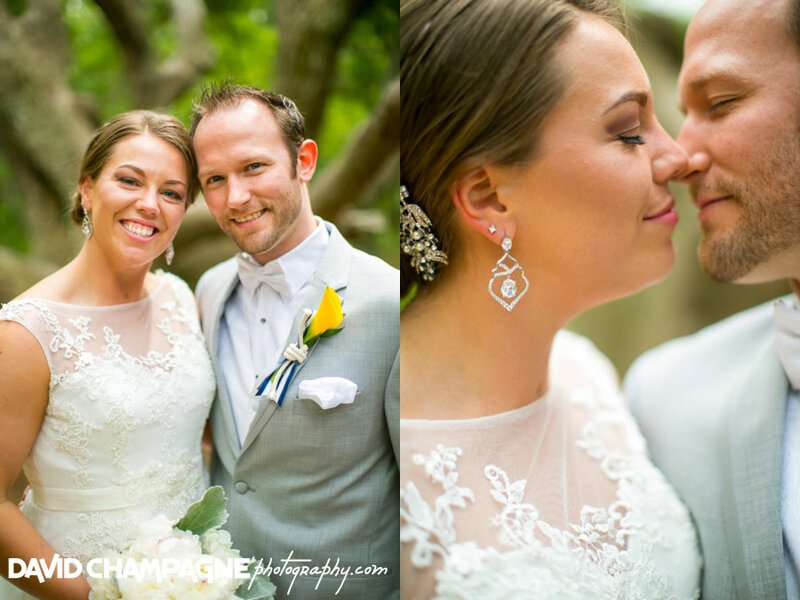 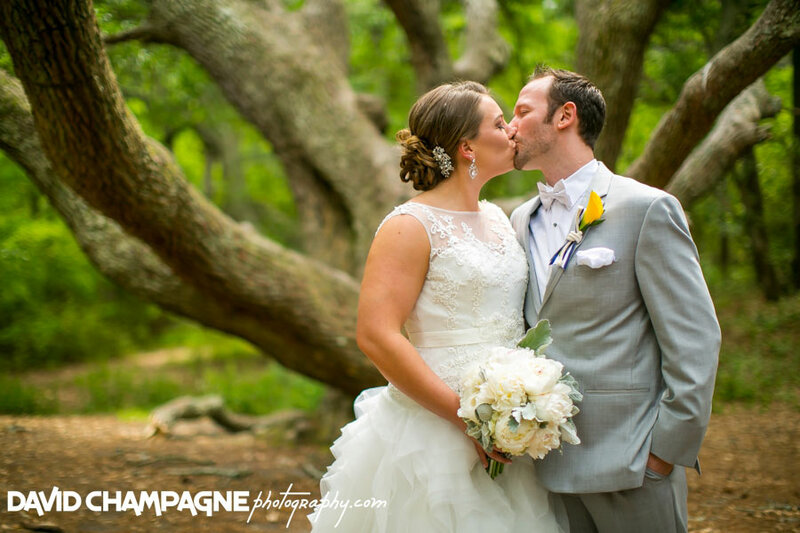 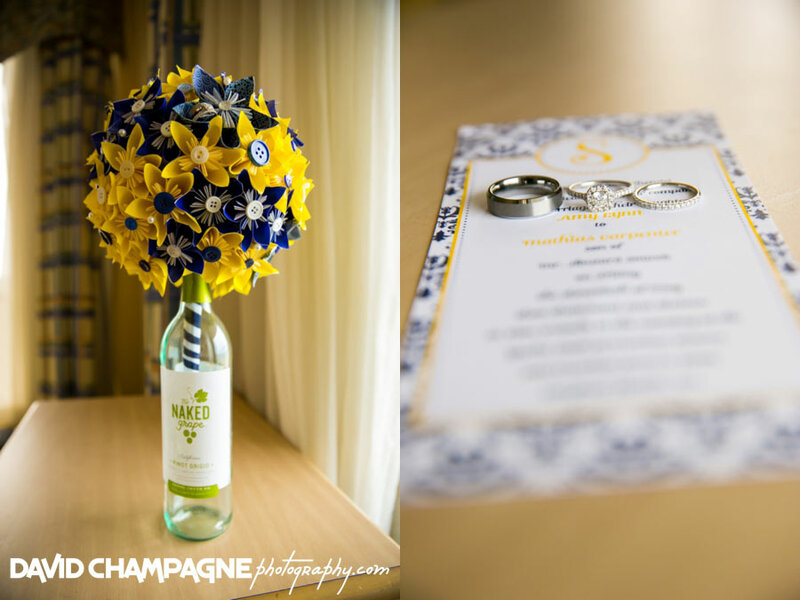 Check out Amy and Mathias’ wedding slideshow!